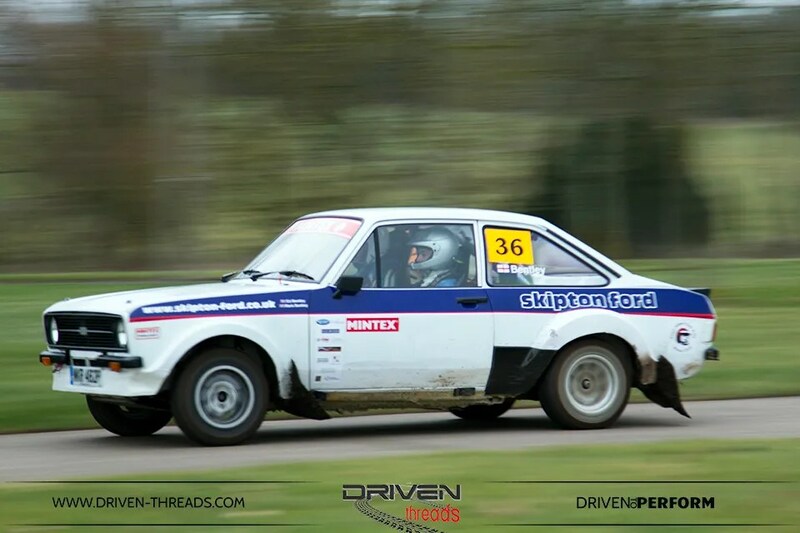 At Driven Threads we are passionate about historic motorsport. 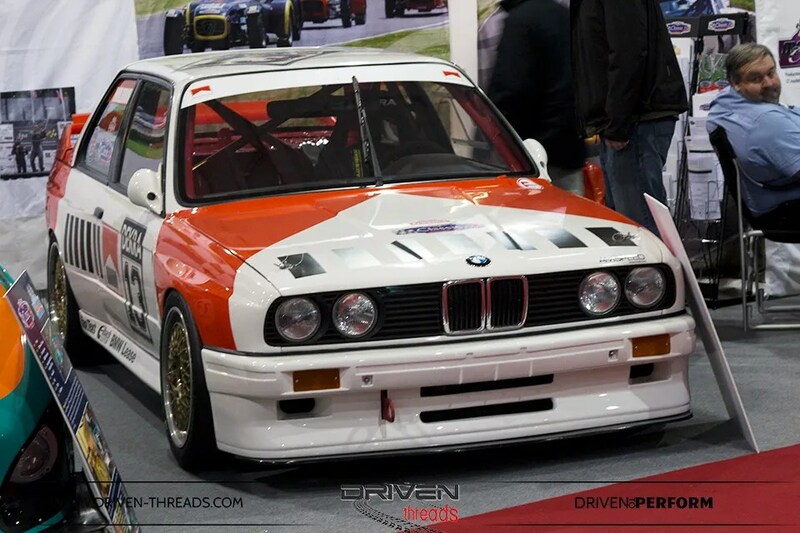 So there was absolutely no reason for us to miss Race Retro. 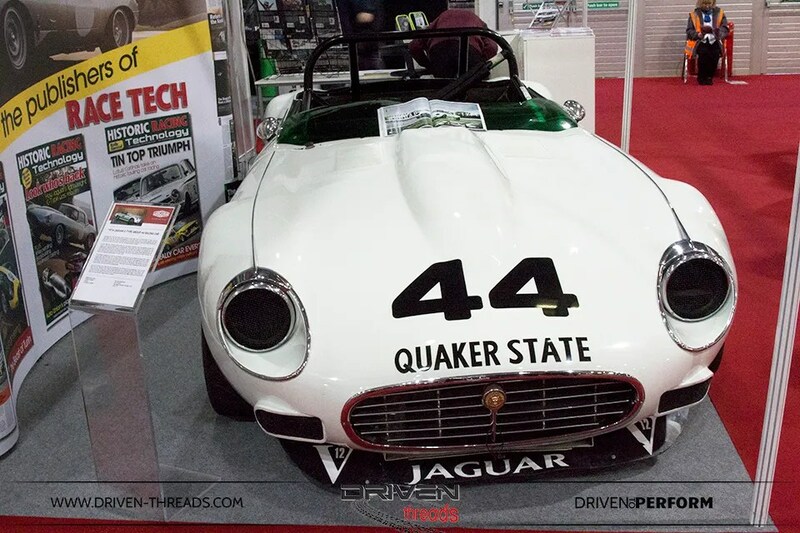 The International Historic Motorshow was recently held at Stoneleigh Park, Warwickshire. 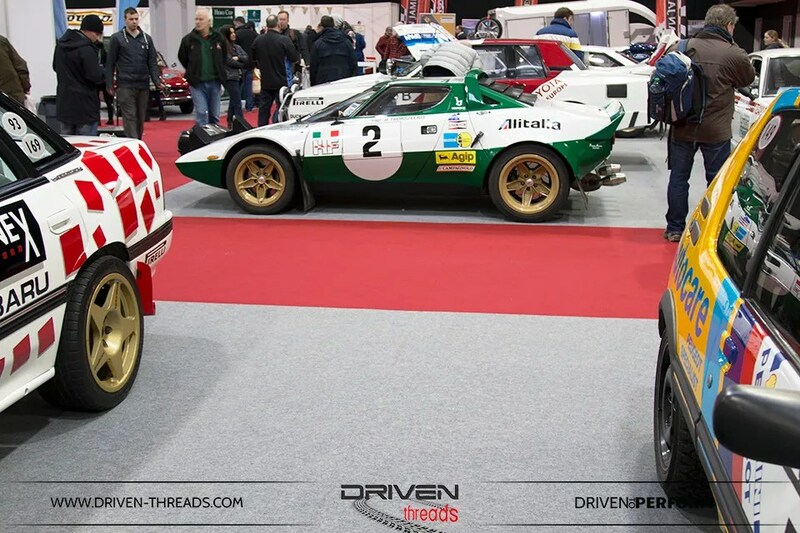 As a landmark event, Race Retro traditionally kicks off the European historic motor scene for the new year. 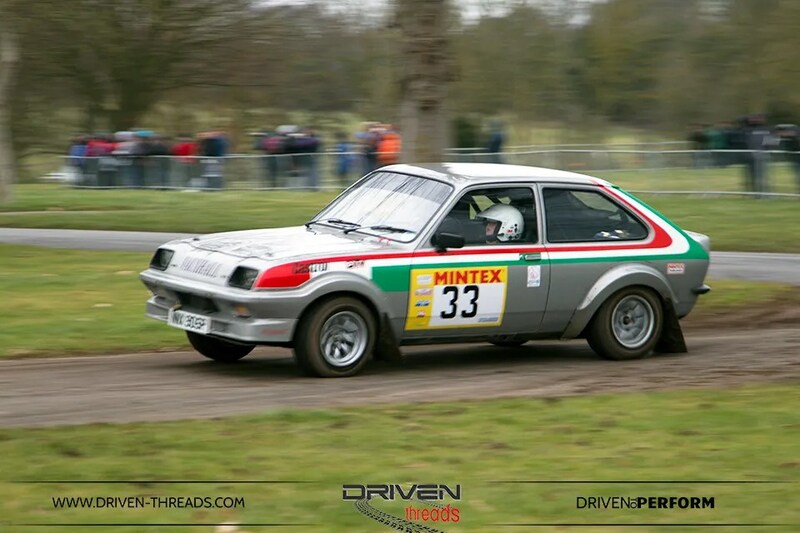 It’s truly a show where historic motorsport in all its varied forms comes to life. 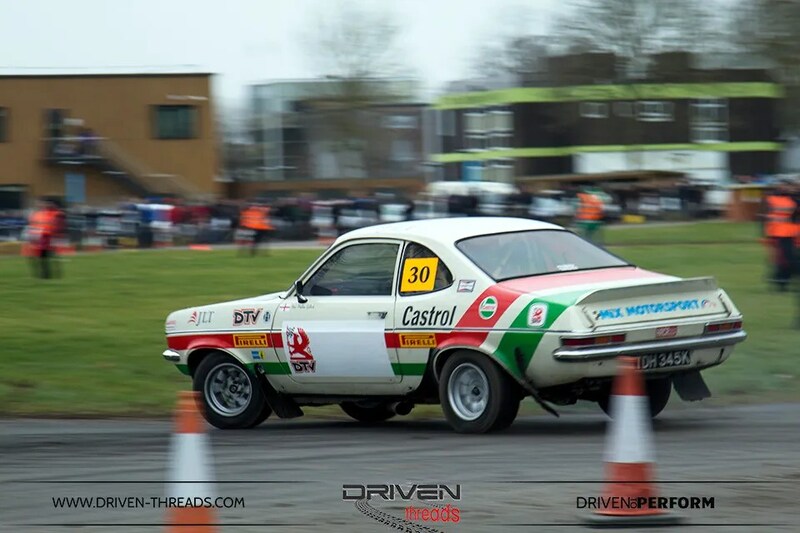 Race Retro also created opportunities for local sporting car clubs to promote their sport. On entry it was not hard to miss the display marking 50 years of Chevron. 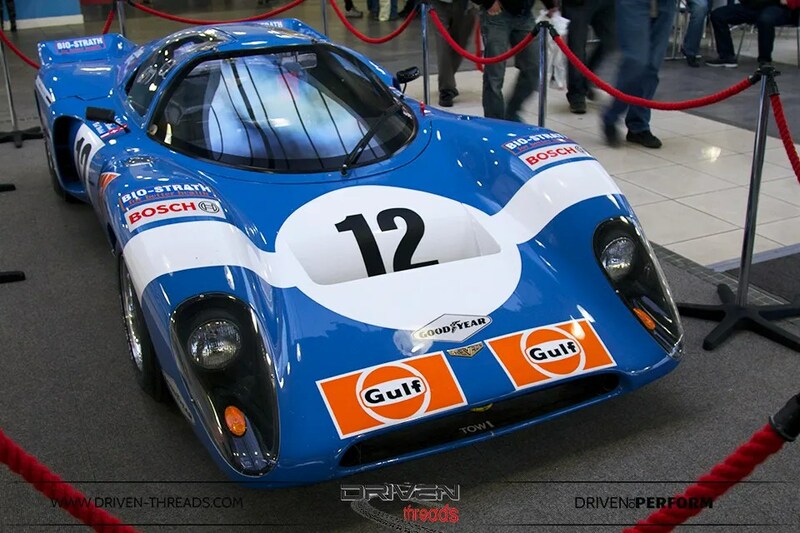 Alongside many single seaters and wedge-shaped sports prototypes, Chevron collaborated with Lola to produce one of the prettiest sportscars of the ’70s, the B16. 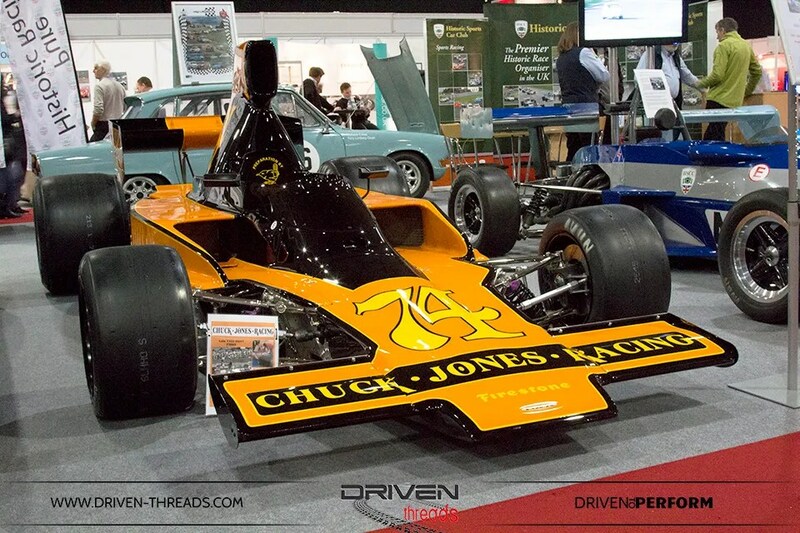 There’s definitely a link between the Chevron and Lola’s beautiful T70. Of which there were many dotted around the place. 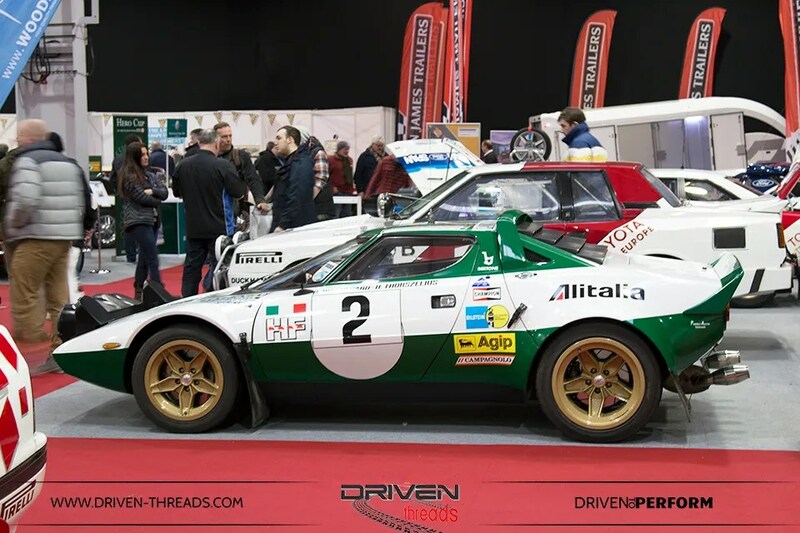 One of the many legendary names in racing and rallying celebrated at the show was none other than the late Jack Brabham. 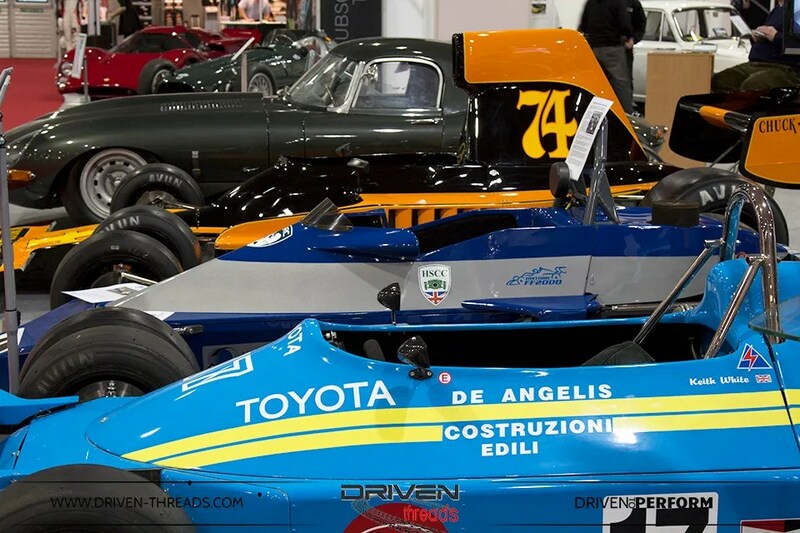 The incredible machines built by Jack Brabham were presented in all their glory. 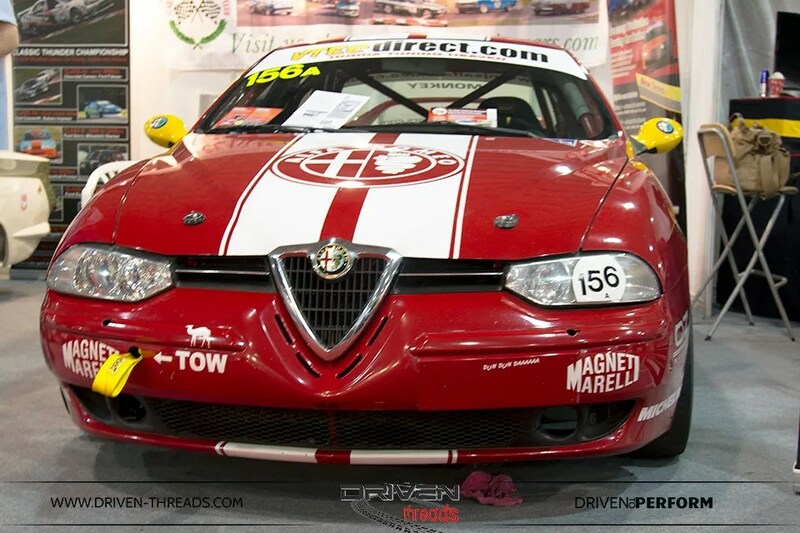 His son David was also in attendance at the show. 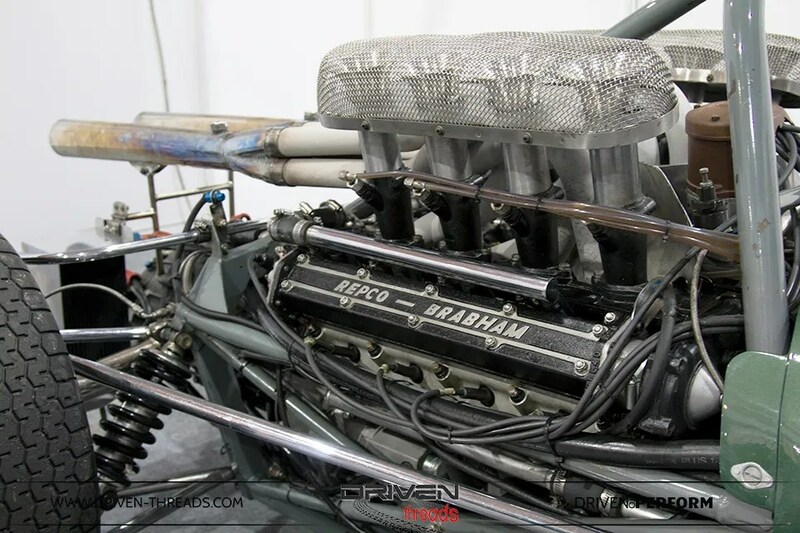 Hidden in distance, the legendary Repco Brabham BT24 can just be made out. 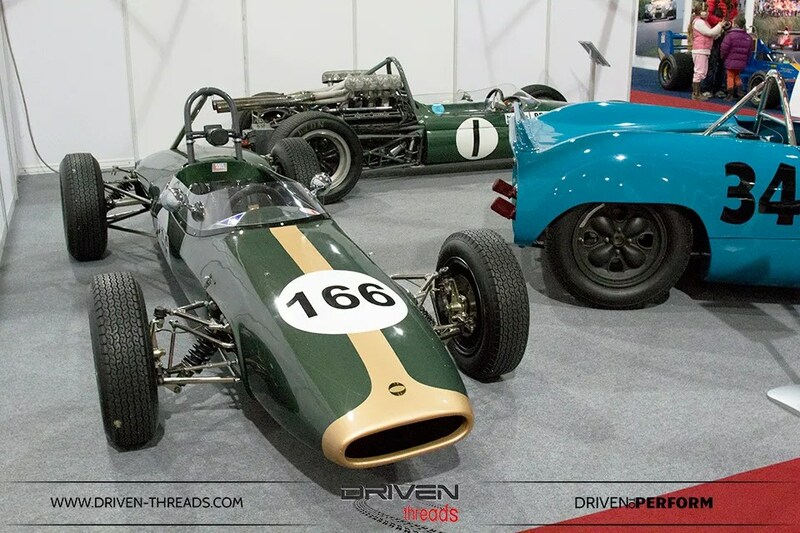 It was one of three cars used by the Brabham racing team during their championship-winning 1967 Formula One season. 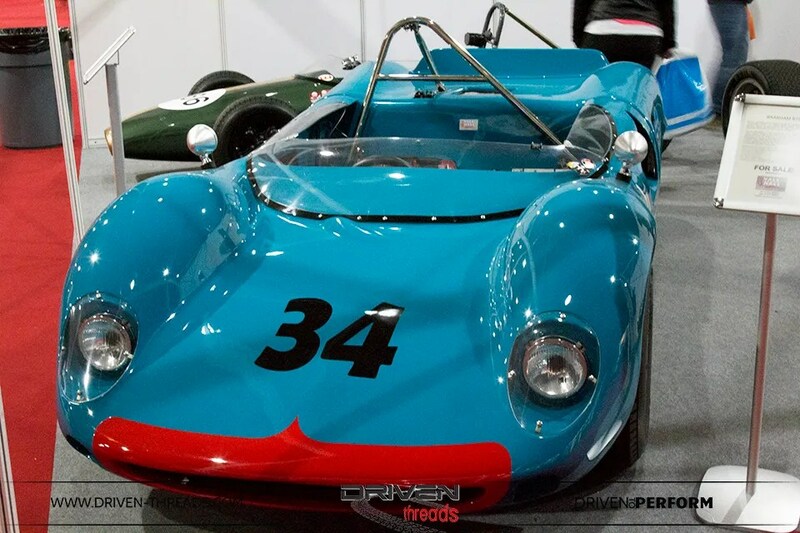 Only three BT24 chassis were ever raced. 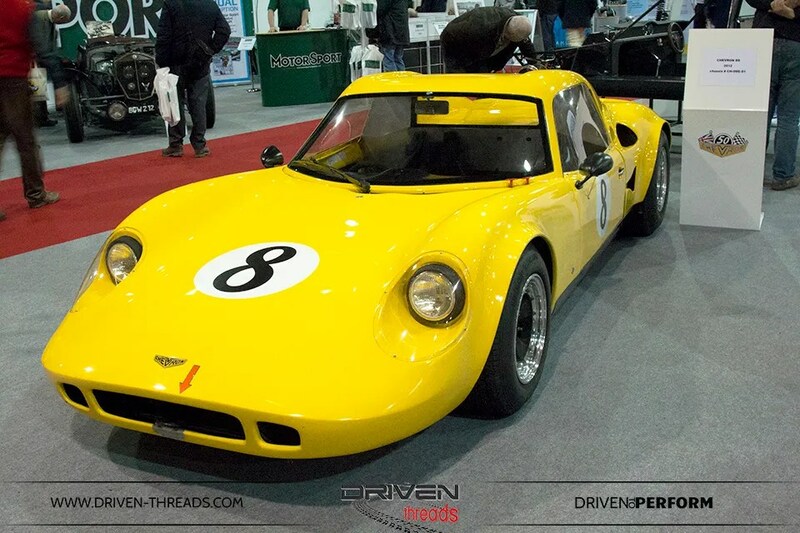 The Brabham BT8 pictured below was built for Jack Brabham to drive in sports car events. 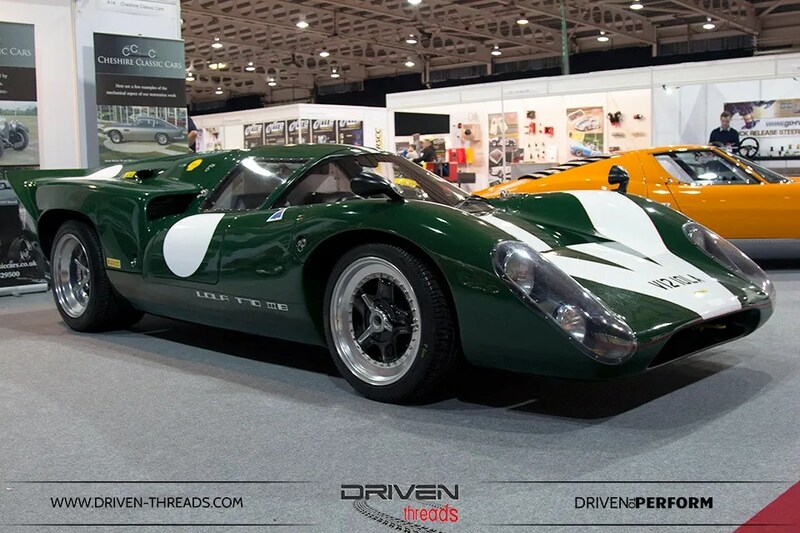 Constructed around an 1880cc BRM engine and six speed BRM gearbox, it was raced by Brabham in the 1964 Goodwood Lavant Cup, he finished third overall and first in the 2 litre class. 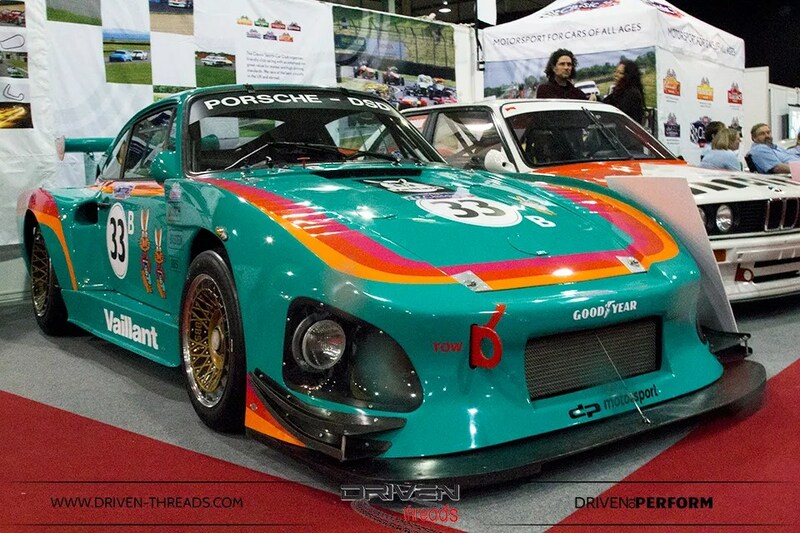 This Kremer Porsche 935 K3 did not disappoint us. 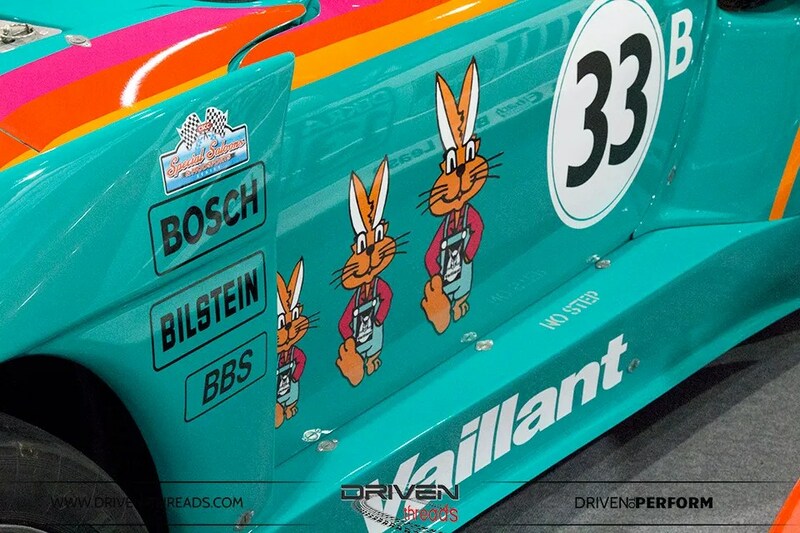 Running in factory team Valliant livery, it had the coolest graphic details. 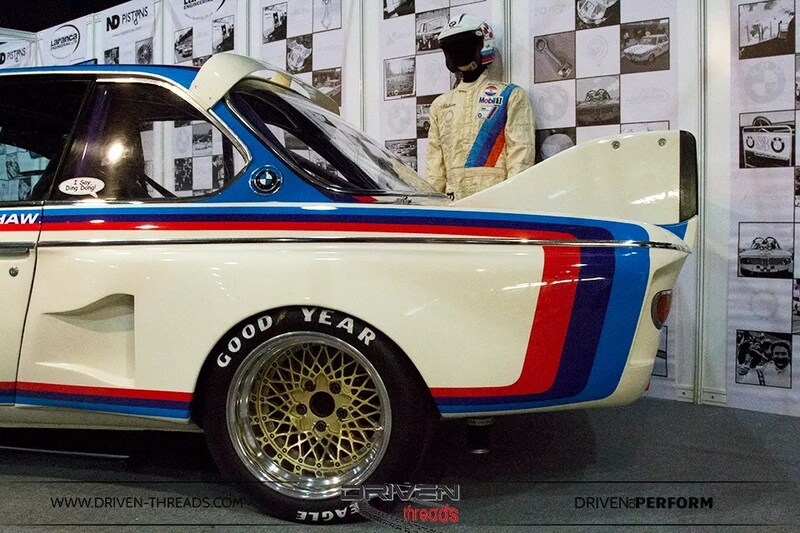 This 600hp monster 935 was brought back from Japan and subjected to comprehensive rebuilt five years ago. 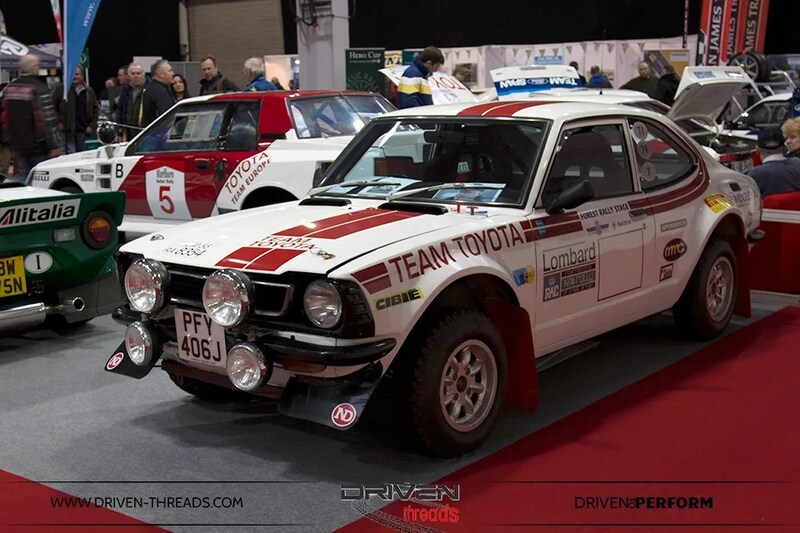 The standard of Rally cars on display was awe-inspiring. 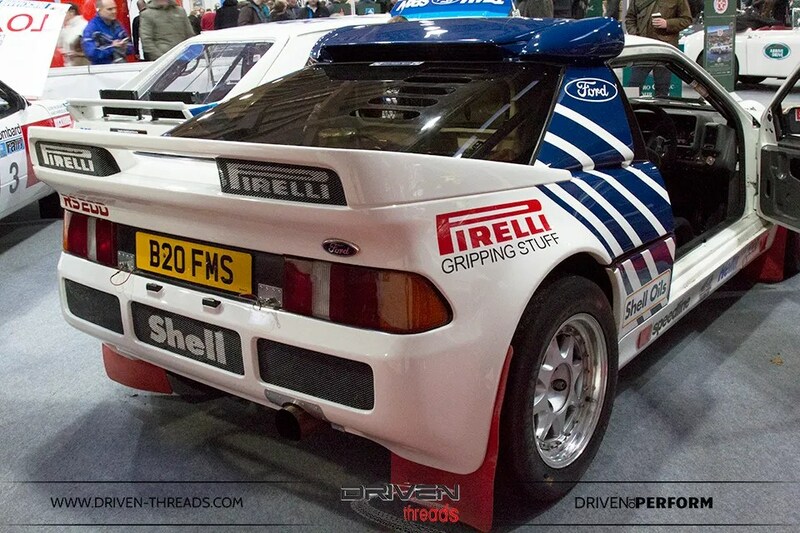 The RS200 never disappoints us. 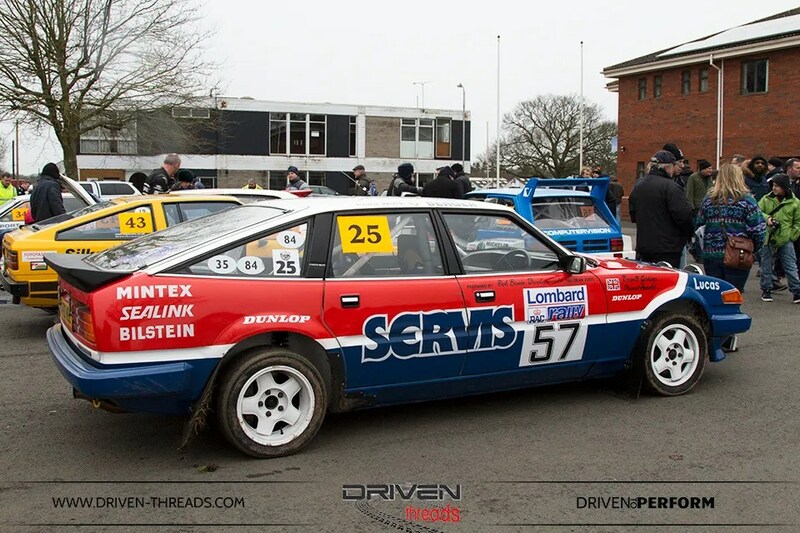 But we were also impressed by the smorgasbord of Rally goodness up on offer. 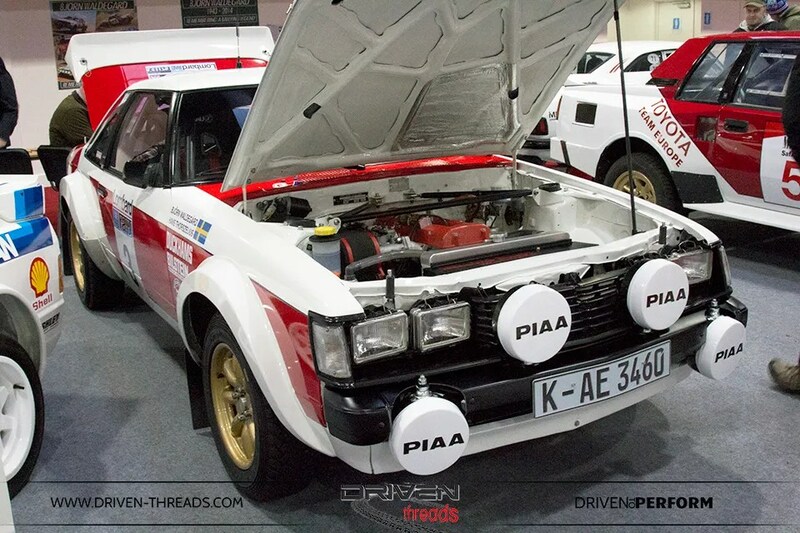 Bjorn Waldegard’s Toyota Celica Twincam turbo TA64. 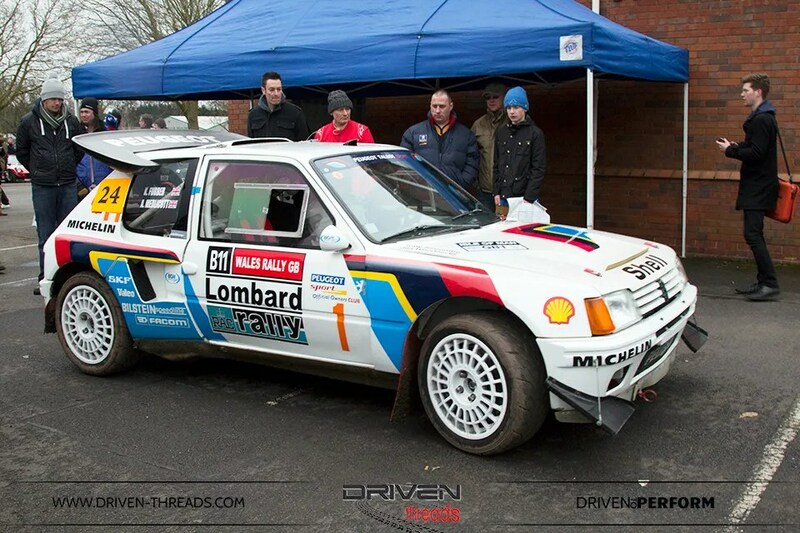 In 1983 he won the Ivory Coast Rally. 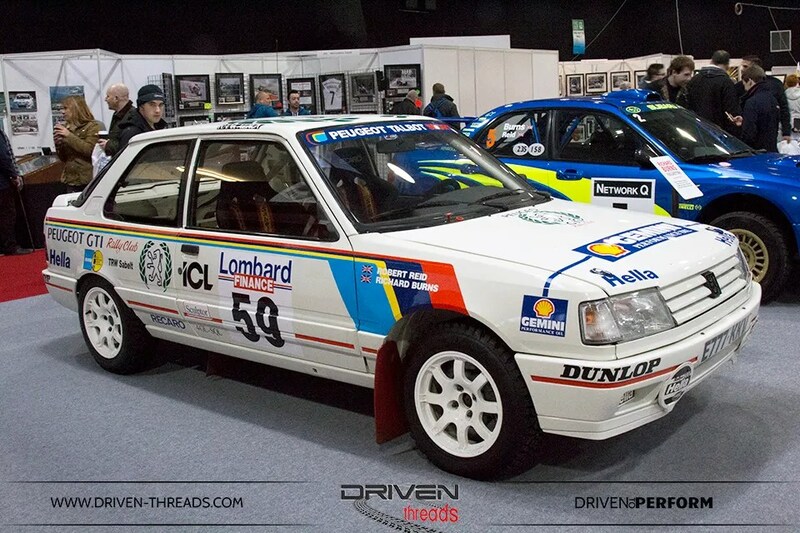 This is a staggeringly successful Rally machine, Among numerous podiums, 1984 saw wins in the Safari and South Swedish Rally. 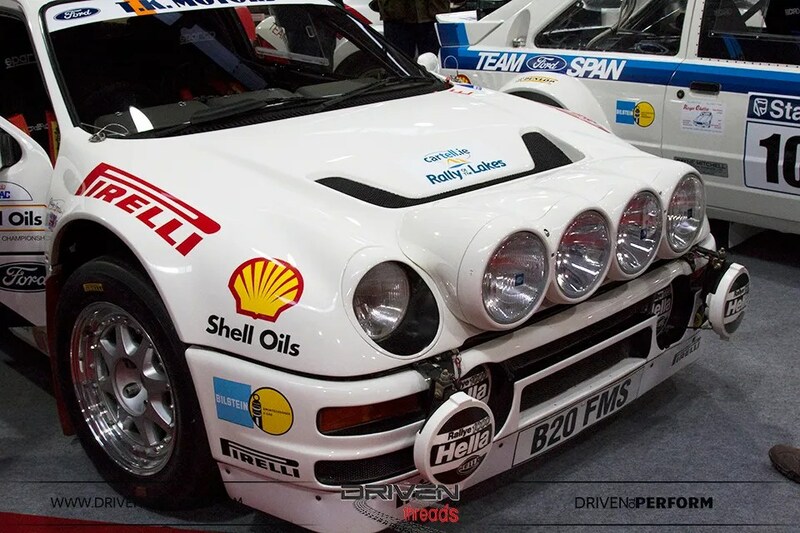 Quatar and Safari Rally in 1986. 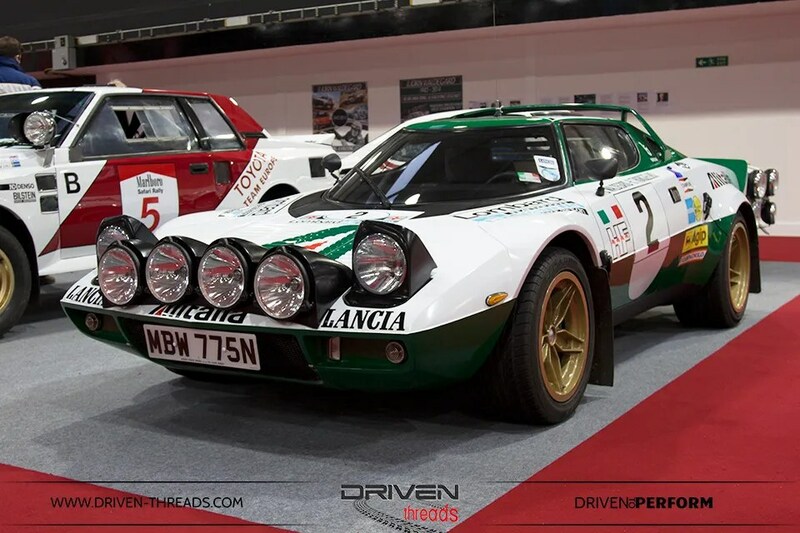 The legendary Lancia Stratos claimed the World Rally Championshup from 1974- 1976. 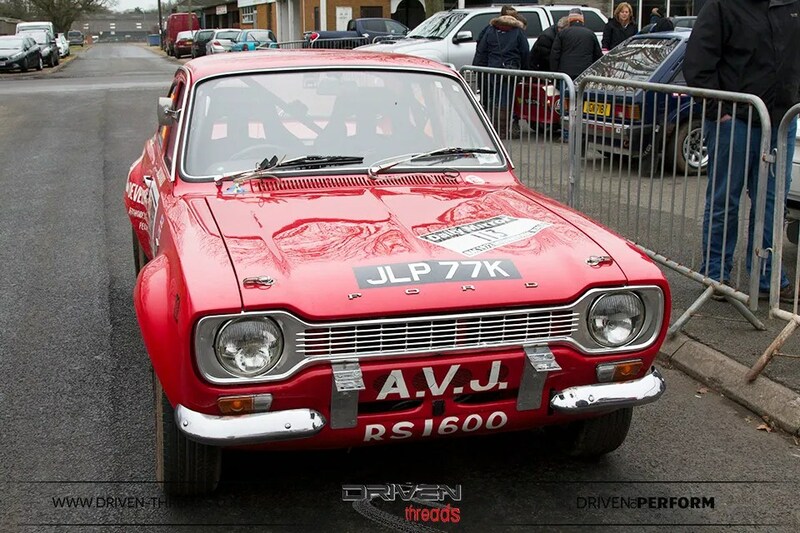 Produced between 1973-78 only around 490 cars were produced. 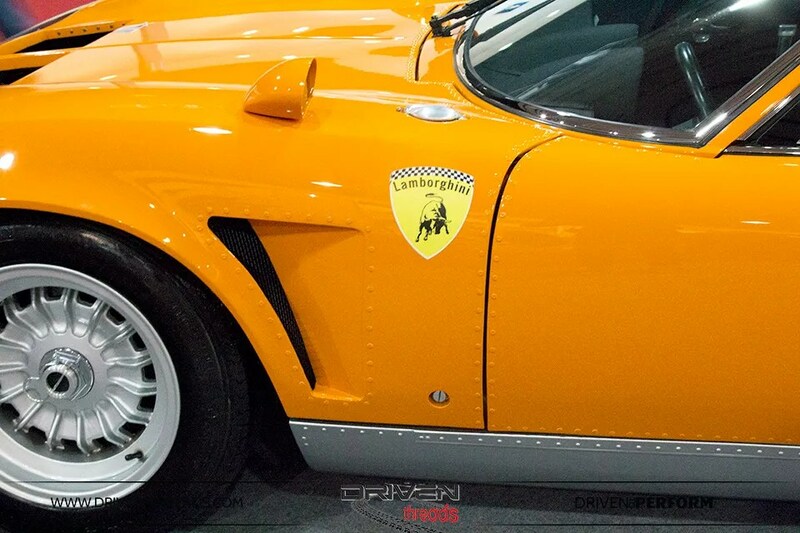 A 2.4litre Ferrari Dino V6 powered the formidable beast. 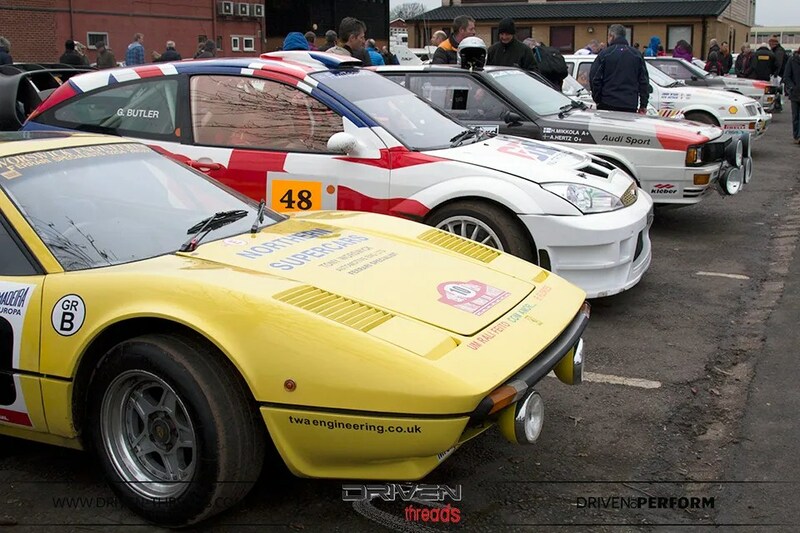 We were spoilt for chose with three on display. 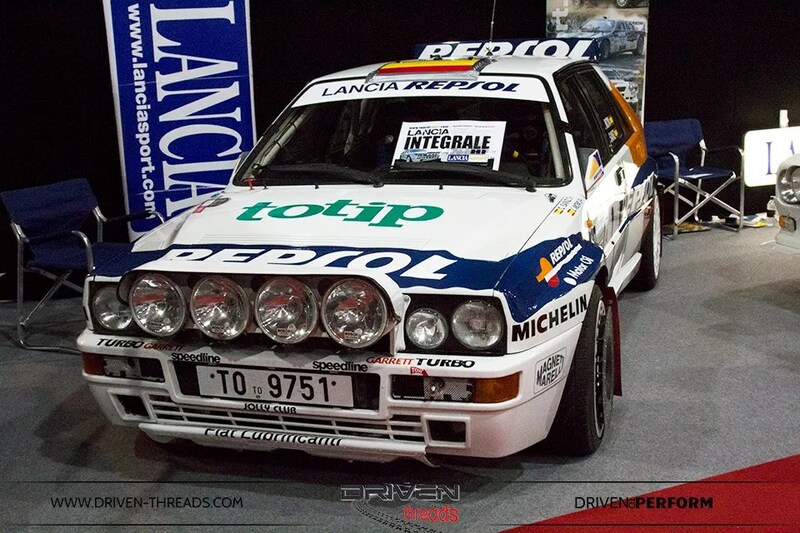 The Integrale HF was the World Rally Champ from 1987-1992. 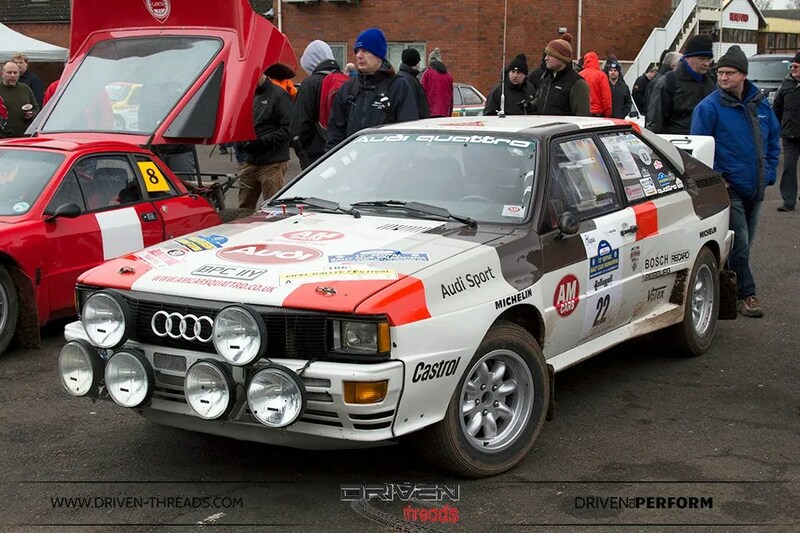 Race Retro pays tribute to legends each year, of both cars or the drivers. 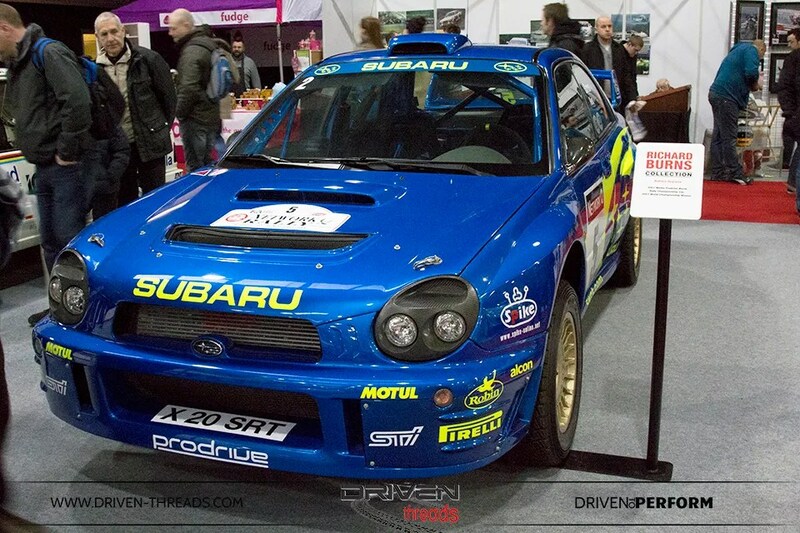 This year a collection of cars driven by the the late rally legend Richard Burns were on show. 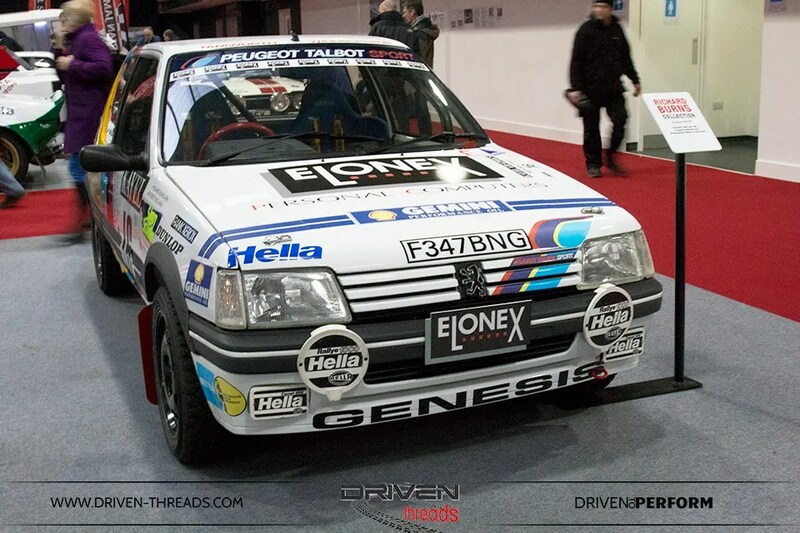 The Peugeot 309 GTI below, was a Group A works car provided for Richaed at the end of the 1991 to complete in the Manx International Rally and the RAC Rally Great Britain. 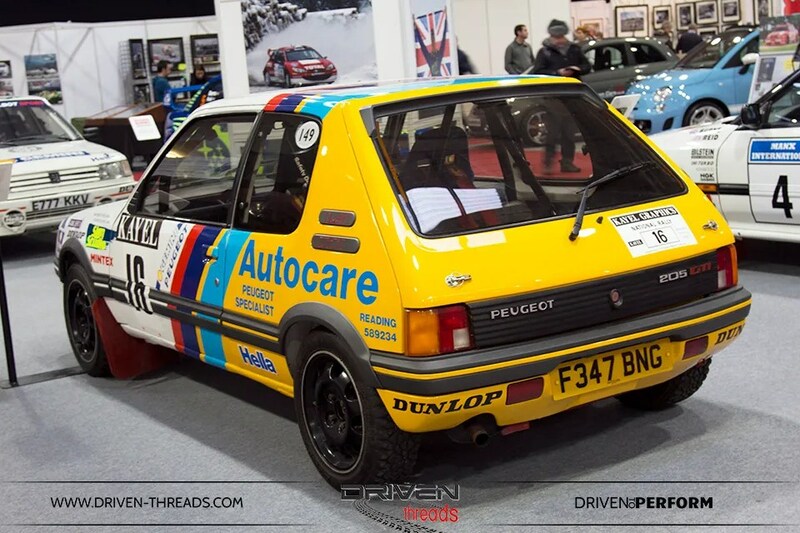 Richard Burn’s 205 GTi used in 1990 and 1991. 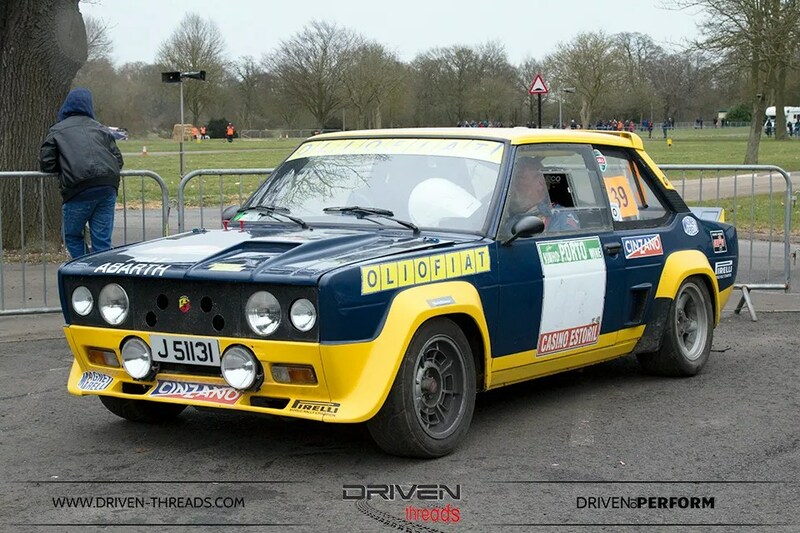 This Peugeot challenge car, was championship winning in both years in competed. 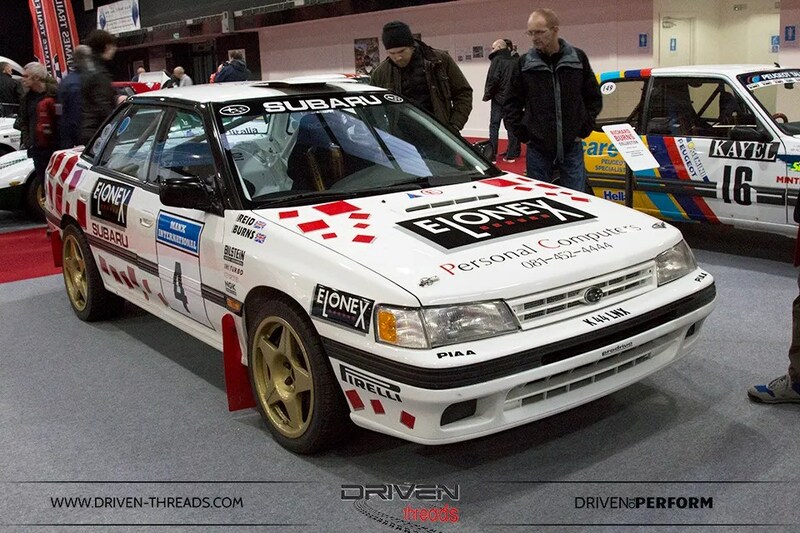 Subaru Legacy Work ProDrive Group A Car. 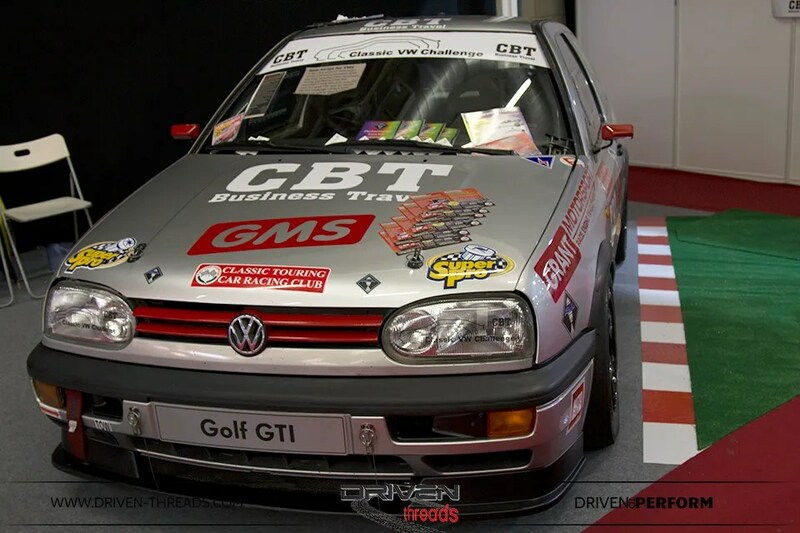 1993 British Open Championship winner. 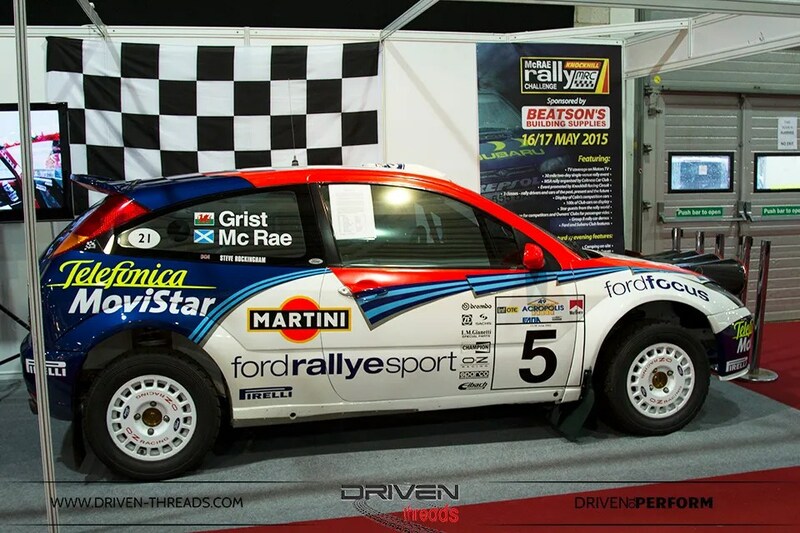 As far as Rally legends go, its no hard to look past the late Colin McCrae’s. 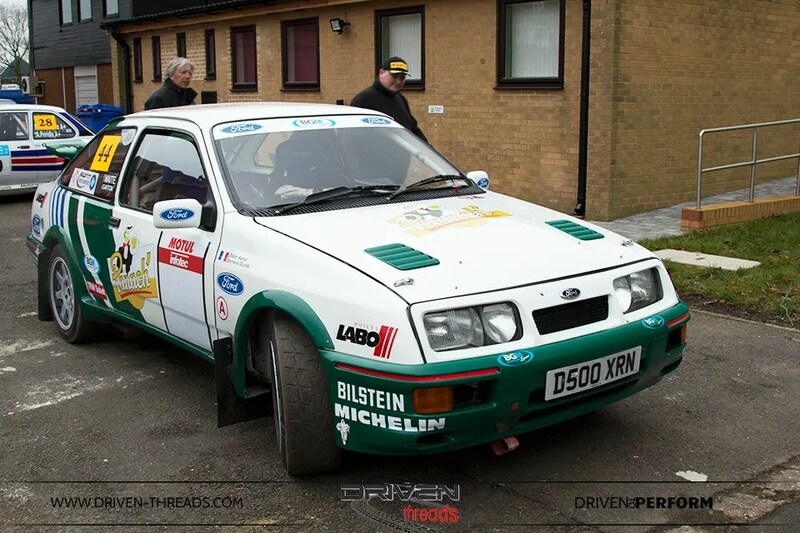 Colin’s P12 WRC is a 1997 car built by Prodrive. 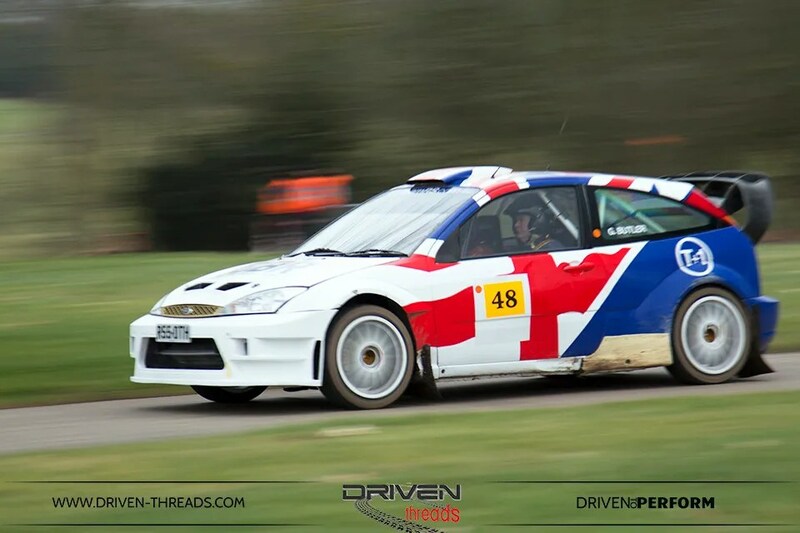 It won at the 1997 Acropolis, 1000 Lakes and finally won at the Network Q RAC Rally, which was Colin’s last Rally GB win. 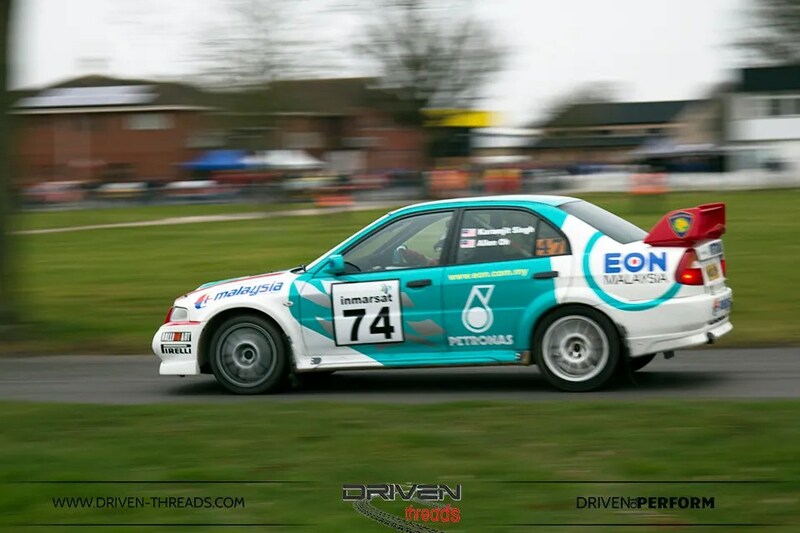 P12 WRC has undergone a complete restoration returning it to the specification Colin used to win at the 1997 Network Q RAC Rally. 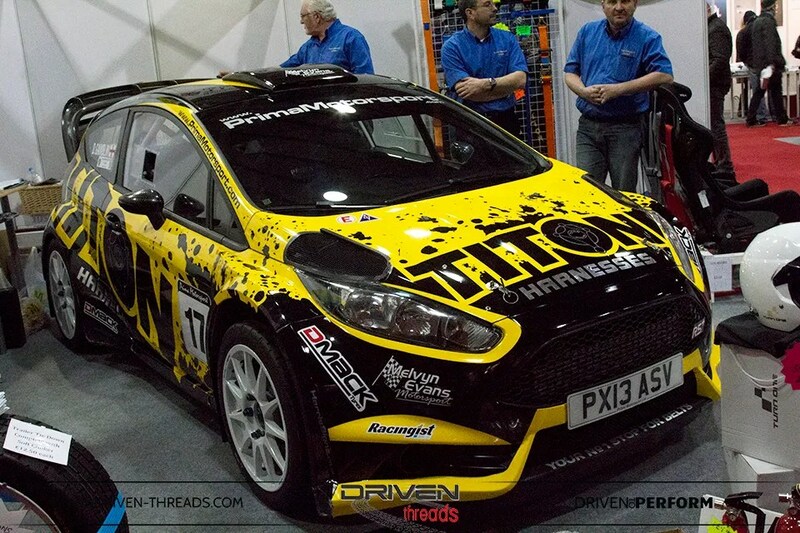 As was his brilliant Focus. 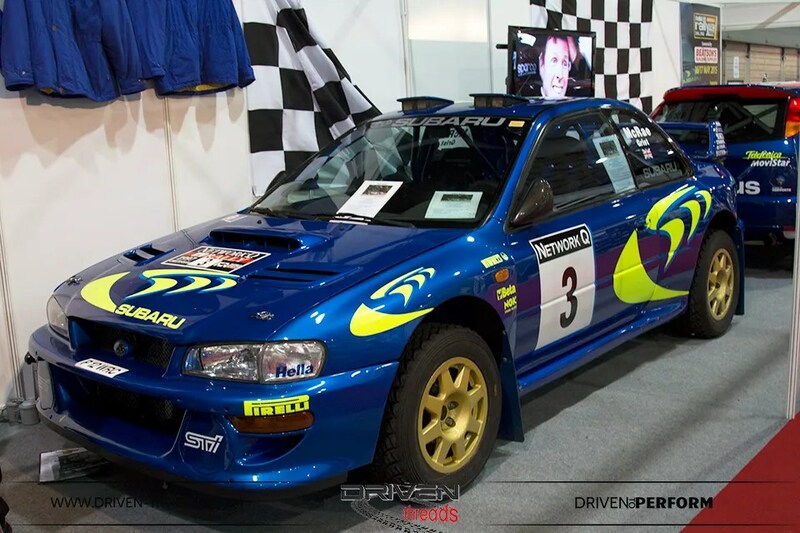 This was the RS WRC that came first in the 2002 Safari Rally with Co-driver Grist. 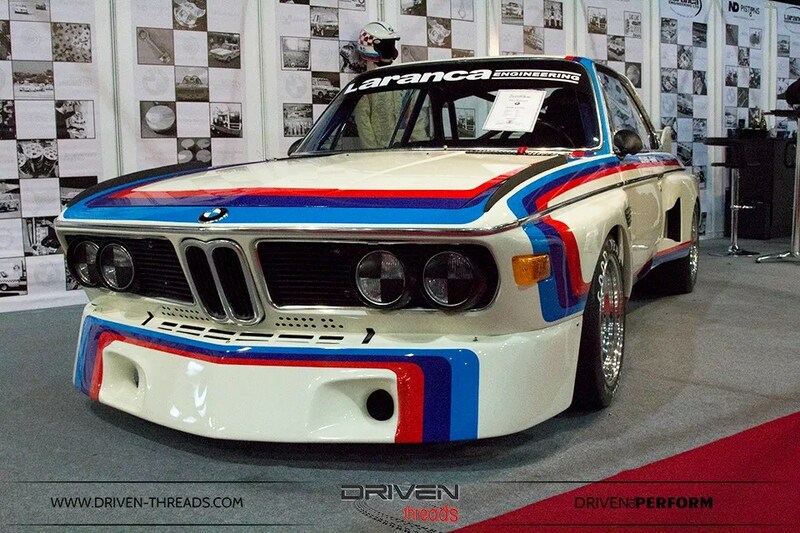 This 1971 3.0 CSL was literally a work of art. 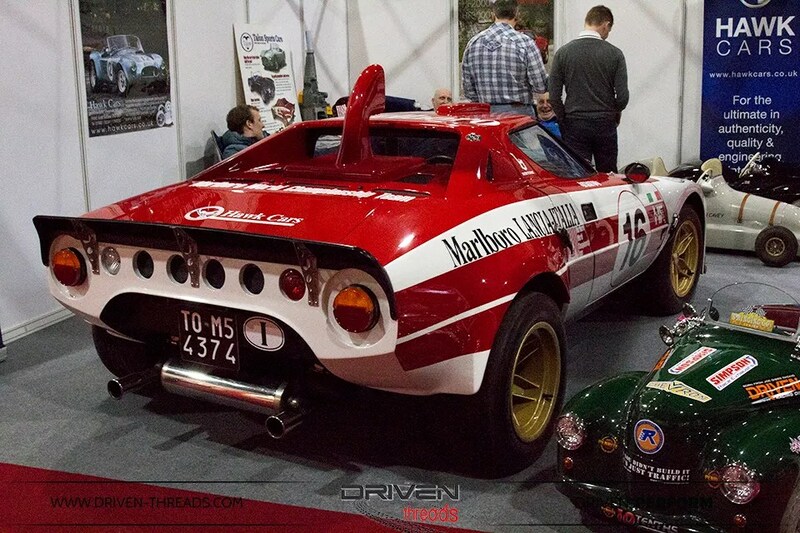 Those flared arches and the traditional livery is winning on all levels. 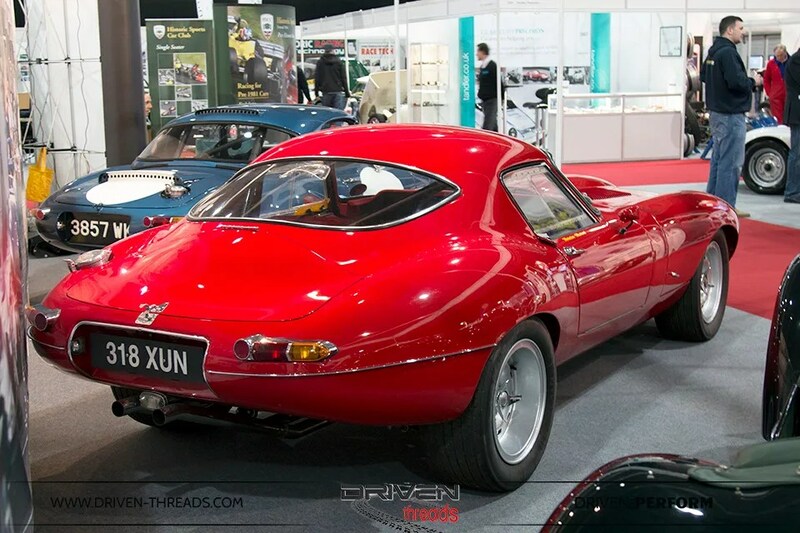 Simply gorgeous was this 1962 Series One Jaguar E-type fitted with a Low Drag Linder Nocker style. 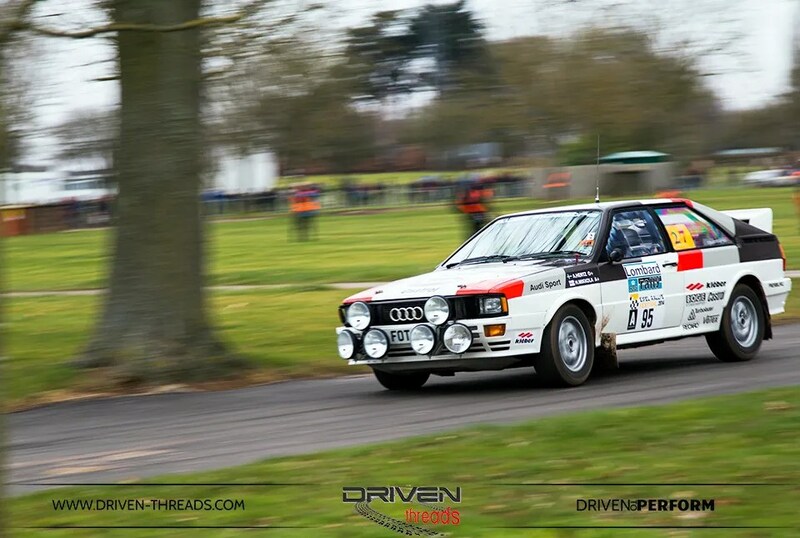 This car was a previous winner of the French FIA championship. 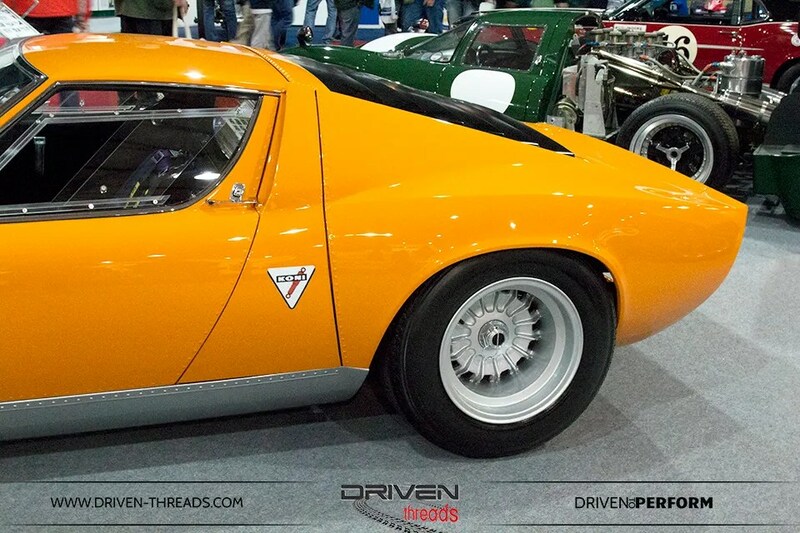 Also devastatingly beautiful is this 1969 Lamborghini Muira ‘Jota’. 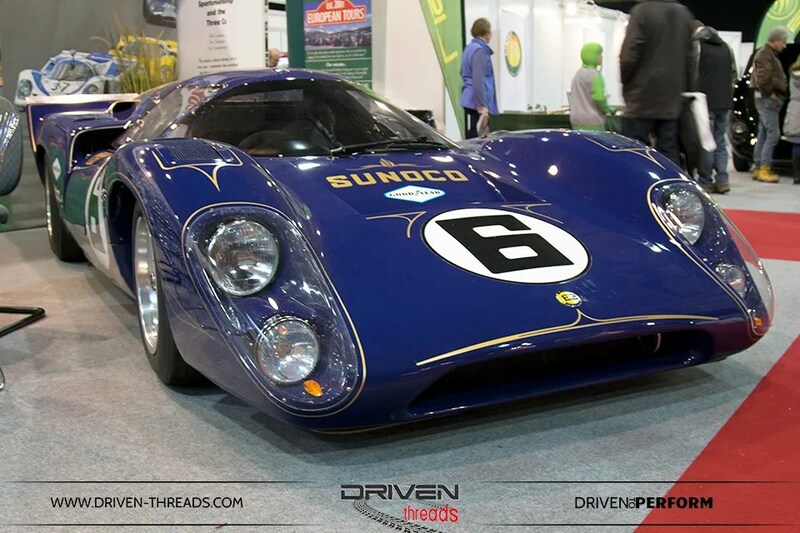 Although the S version of the Muira came out in 1969, it was not radically different from the original P400. 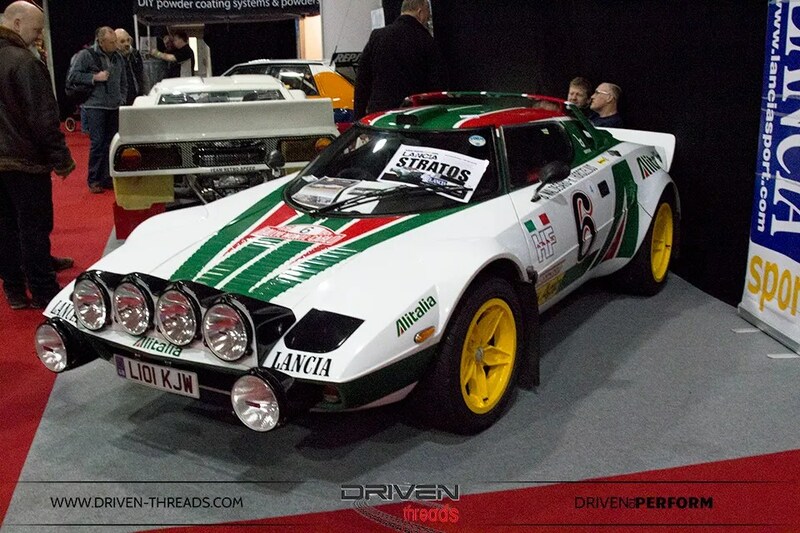 As the brain child of Lamborghini test driver Bob Wallace, the ‘Jota’ exploited more performance out of the Muira. 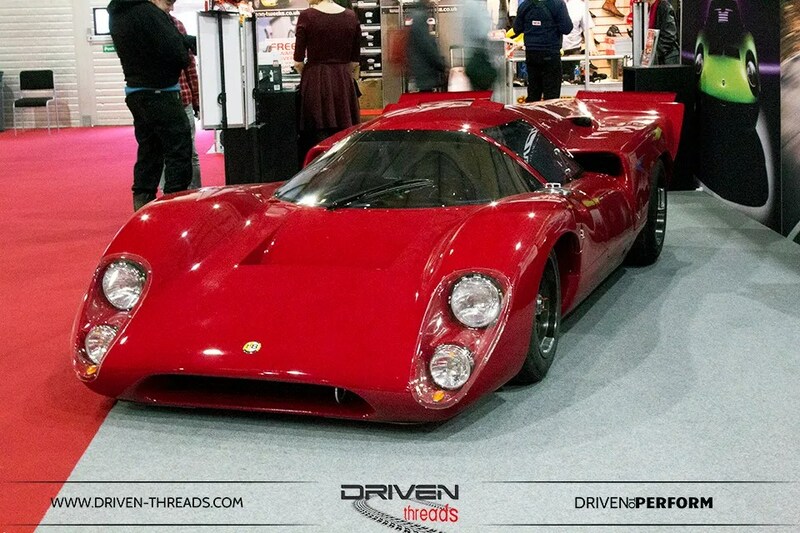 The Jota prototype was destroyed in 1972 in a crash. 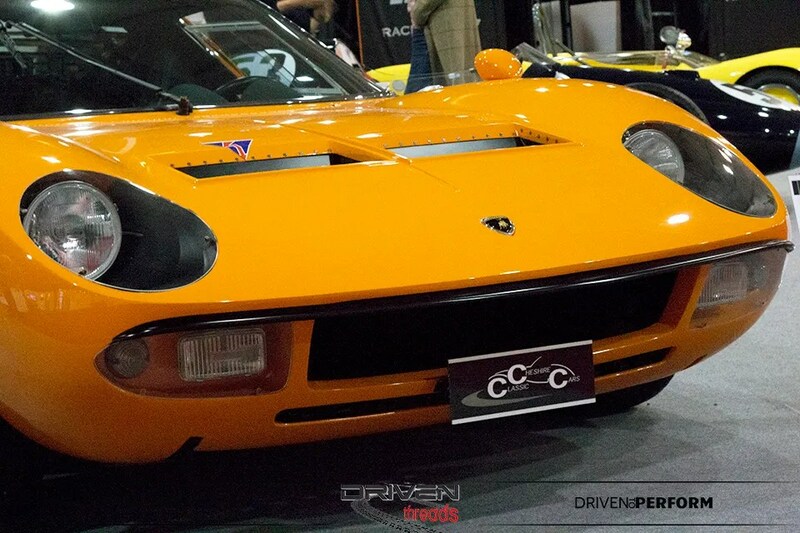 Later many of the developments were incorporated in to the SV model. 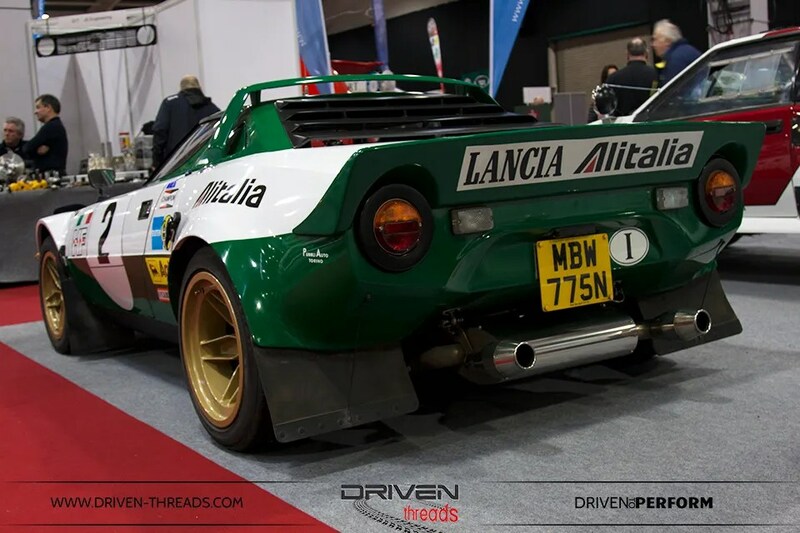 Five SV’s that were partially ‘Jota-ised’ but this was mainly cosmetic. 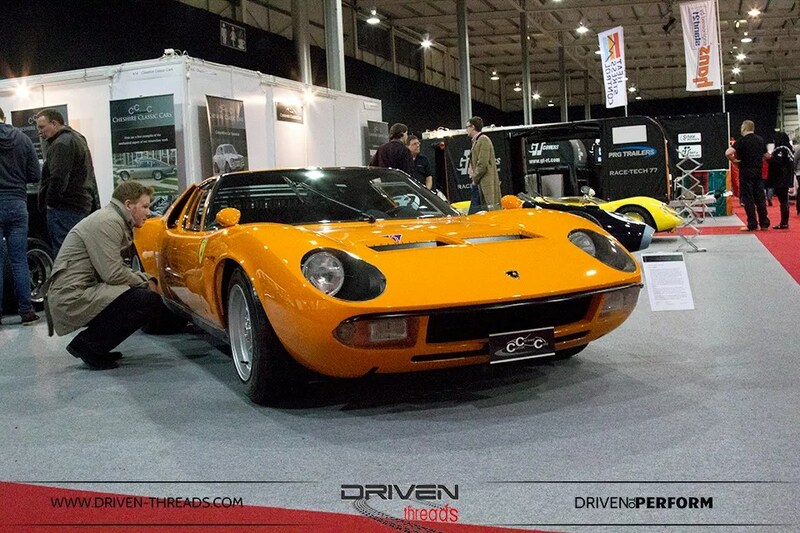 This Muira was delivered new in Japan, where later the fifth owner set out to create a re-creation of the Jota. 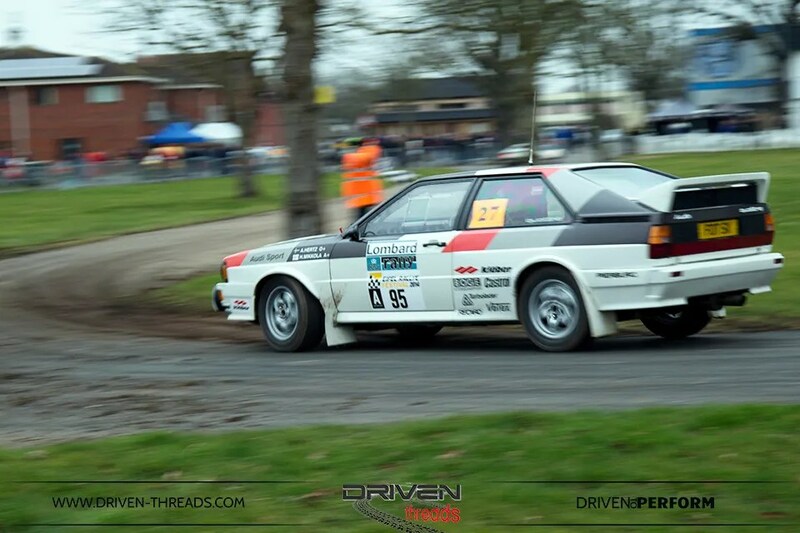 Pleasingly, Race Retro was not just a static show. 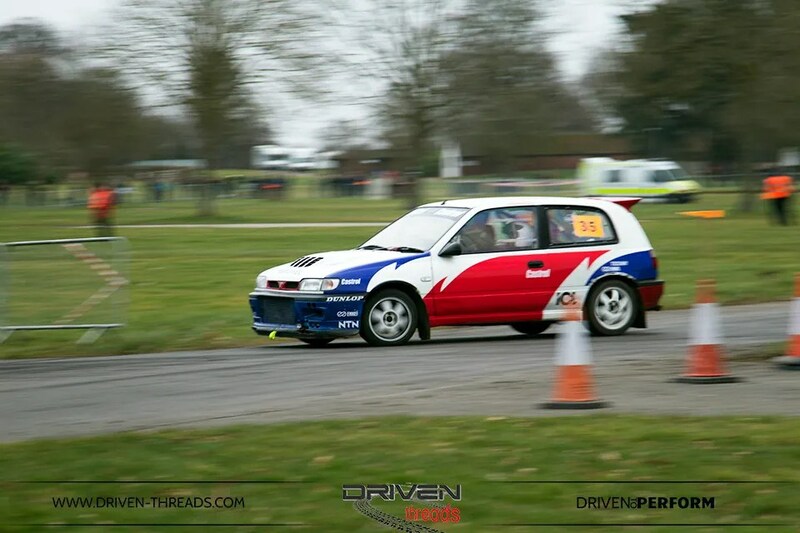 Despite rain aborting most of the on-track festivities, we captured a few moments of the Live Action rally stage set up in the exhibition grounds. 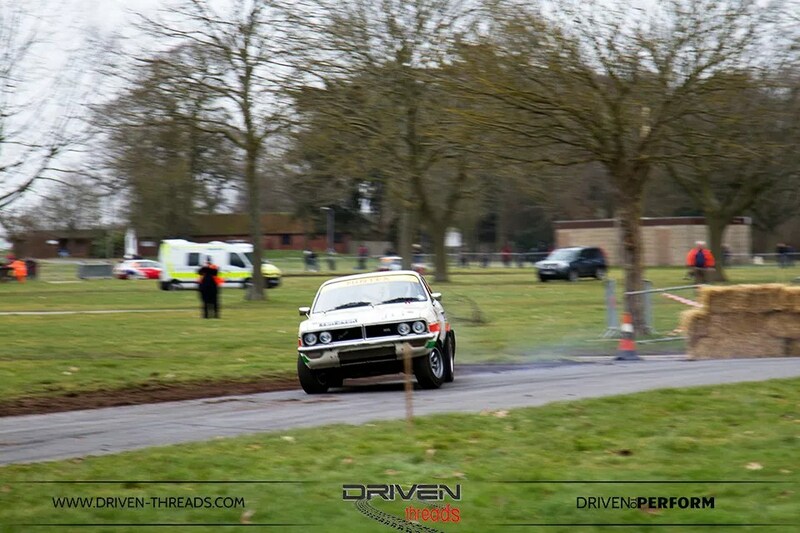 It was great to see and hear some Rally legend in action. 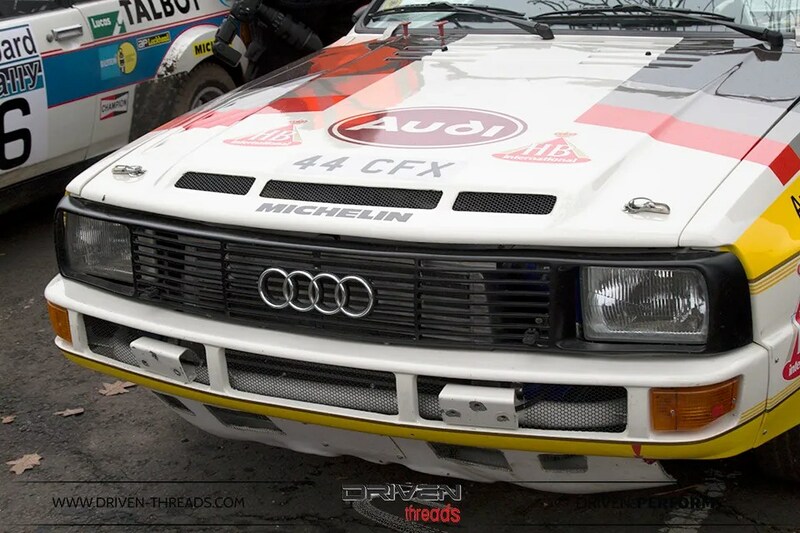 Hearing an Audi Quattro’s Turbo charged 5 cylinder engine never gets old. 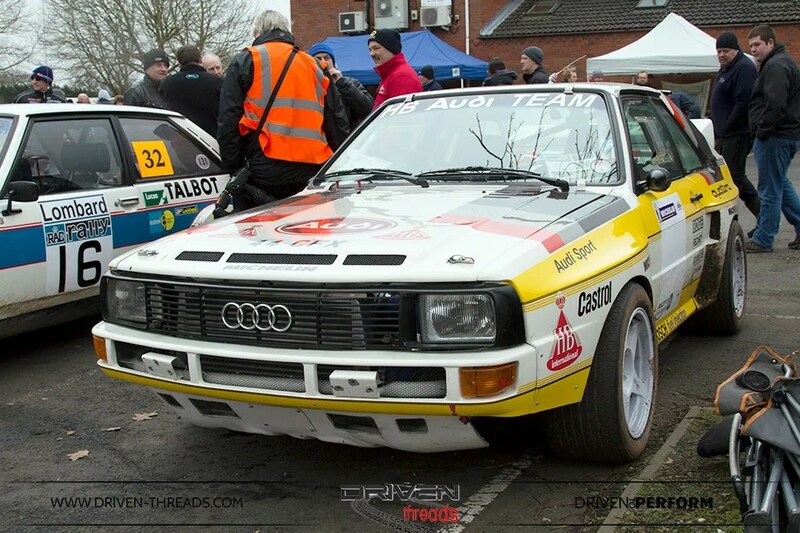 The In-NC-46 was the first shortened Quattro to be used by Audi. 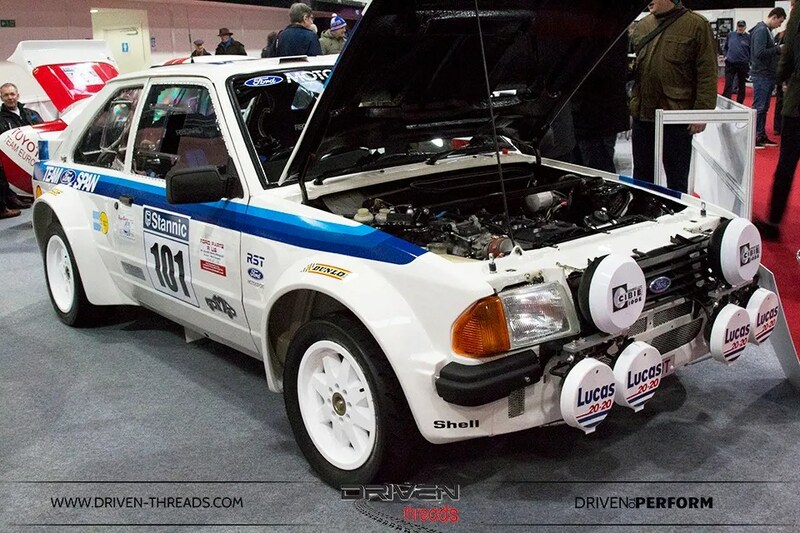 This is a replica of the 1984 ‘Tour de Corse’ car. 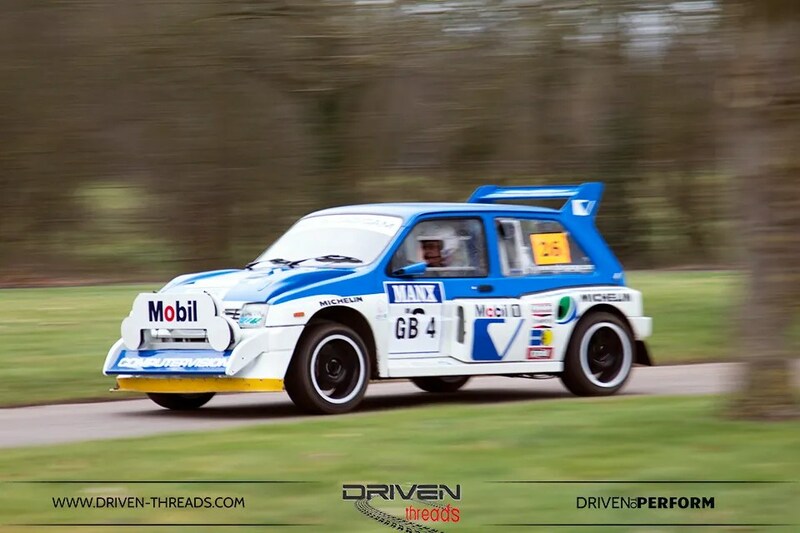 The sound of a Peugeot 205 T-16 rocks our world. 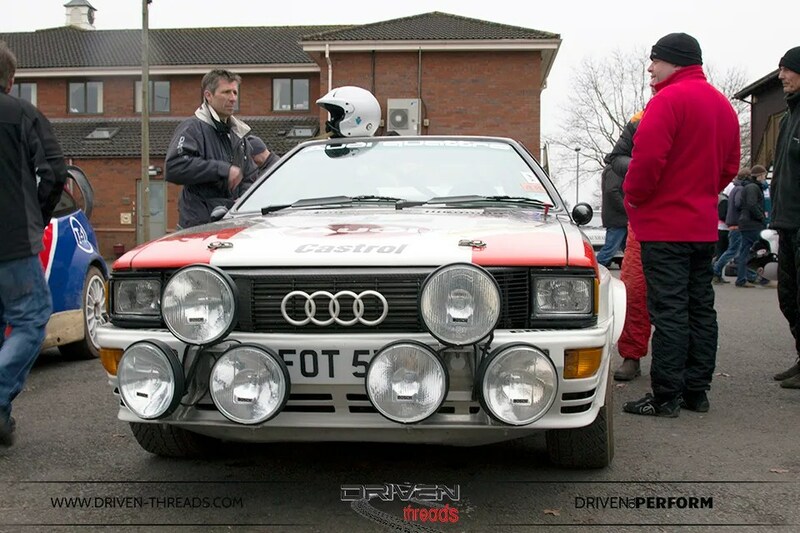 Got lights? 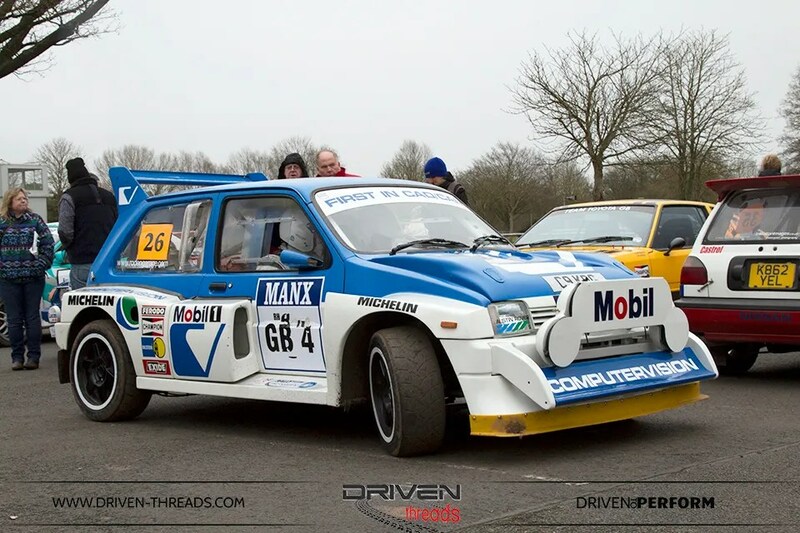 We adore the Aggressive body style of the MG Metro, it straight out oozes retro eighties goodness. 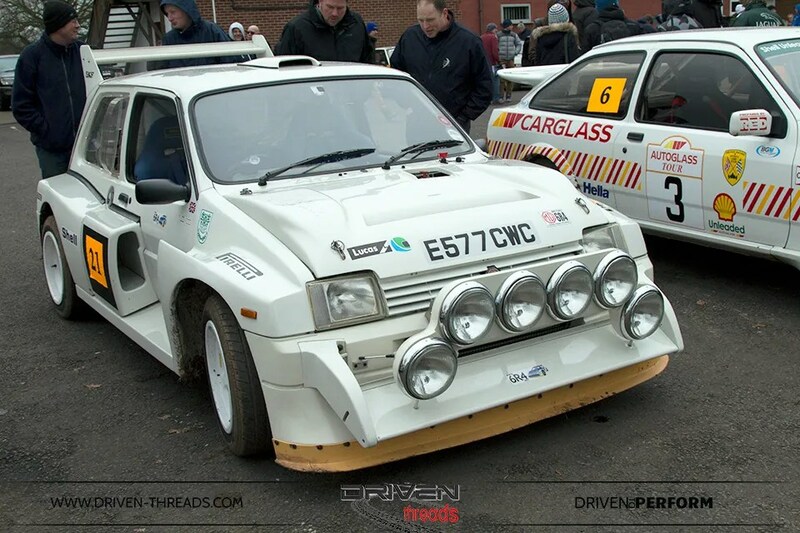 Created for the short lived Group B race category, the 4WD mid engined MG 6R4 (6-cylinder, rally car, four-wheel-drive) Metro of 1984 was a world away from its shopping cart base car. 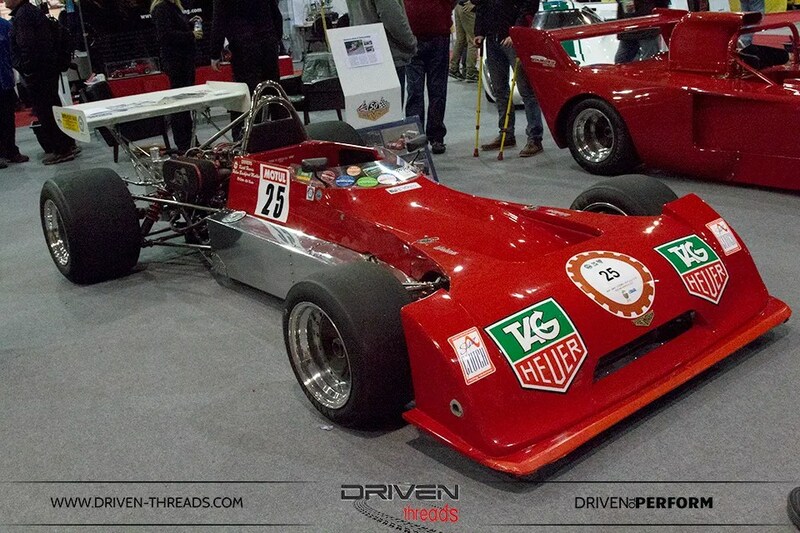 The competition car featured a mid-mounted engine with four wheel drive transmission enclosed within a seam-welded tubular chassis. 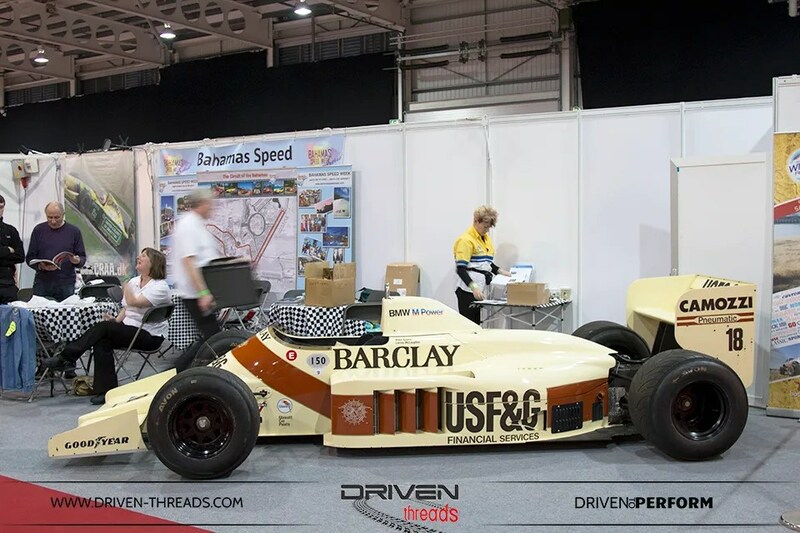 The development of this vehicle had been entrusted to Williams Grand Prix Engineering. 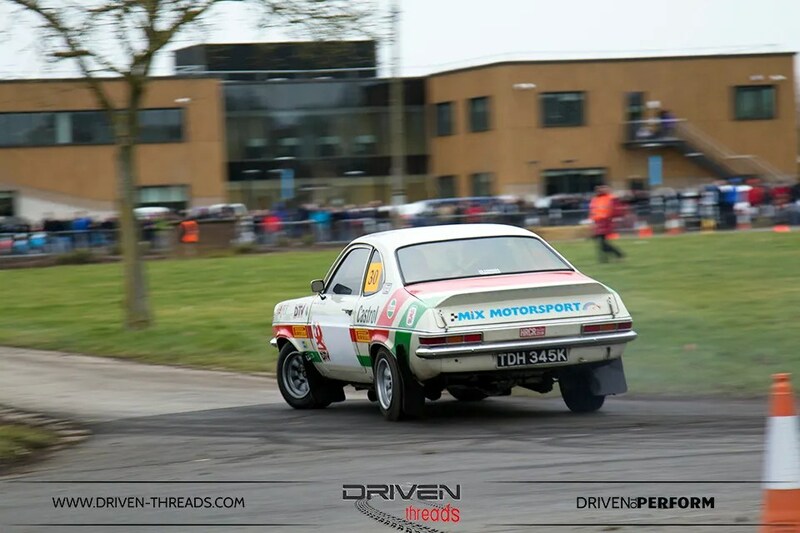 One of the most entertaining rally rides demonstrating was the 5-litre V8, Chevrolet Vauxhall Firenza. 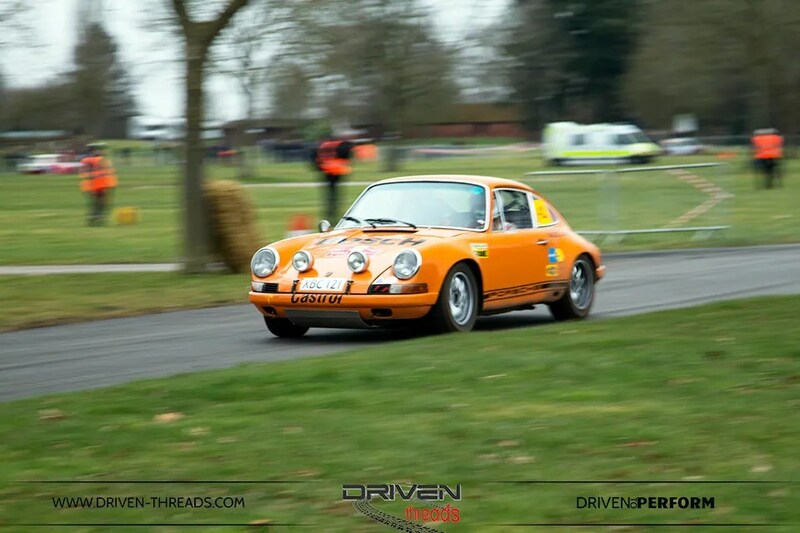 It power slid and drifted its way around the course. 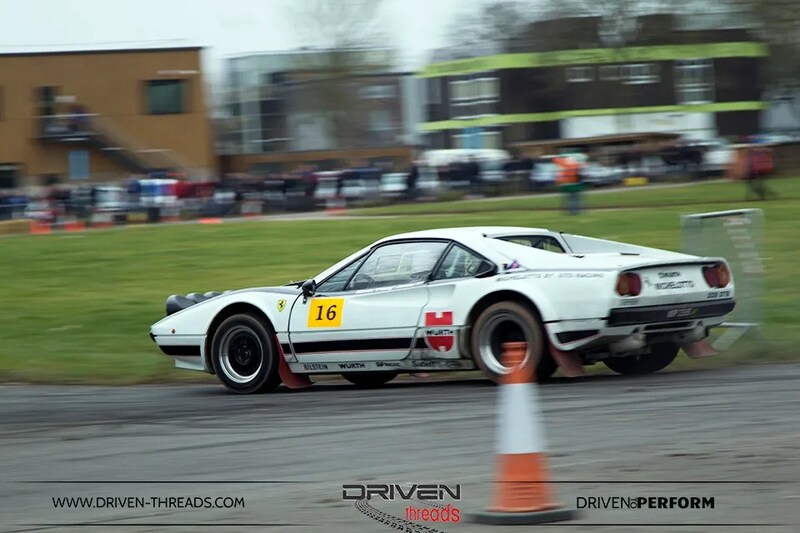 A Ferrari 308 GTB is not a common sight on a rally stage. Why not we say? 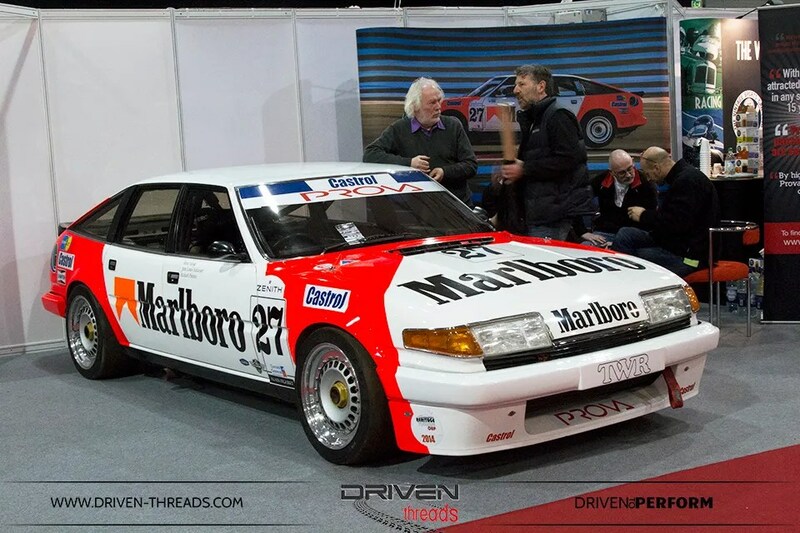 Stripped of glory was the 1983 Rover TWR Vitesse – The launch of the overtly sporting Vitesse variant in 1982 greatly helped the model both on and off the track. 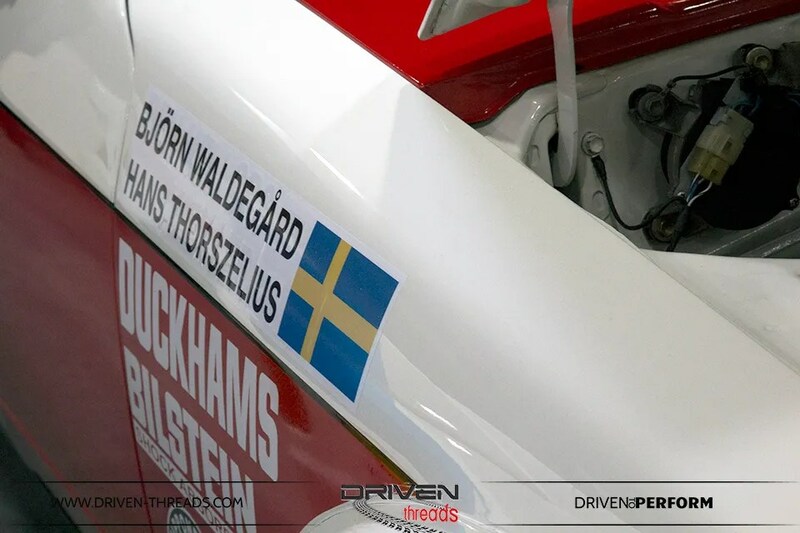 Titles in the 1983 BTCC and 1986 ETCC followed, though were later subsequently stripped as a result of technical infringements. 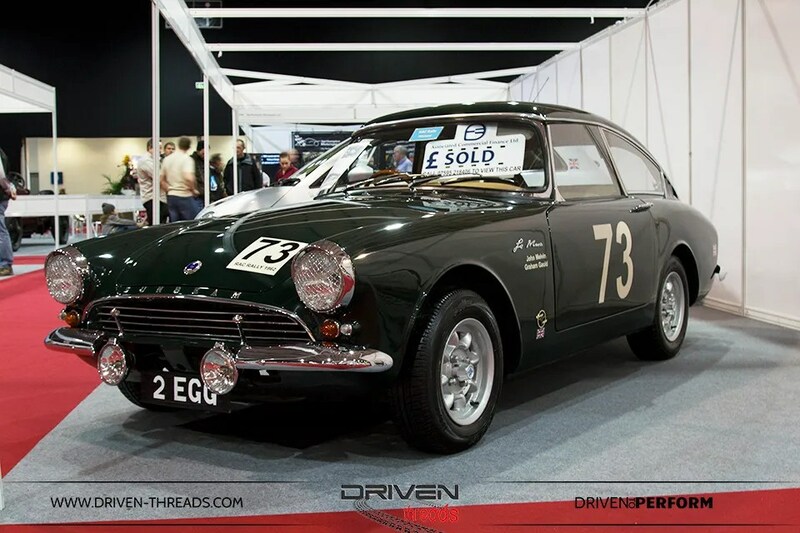 This model achieved many other racing victories around the world, even in rallying. 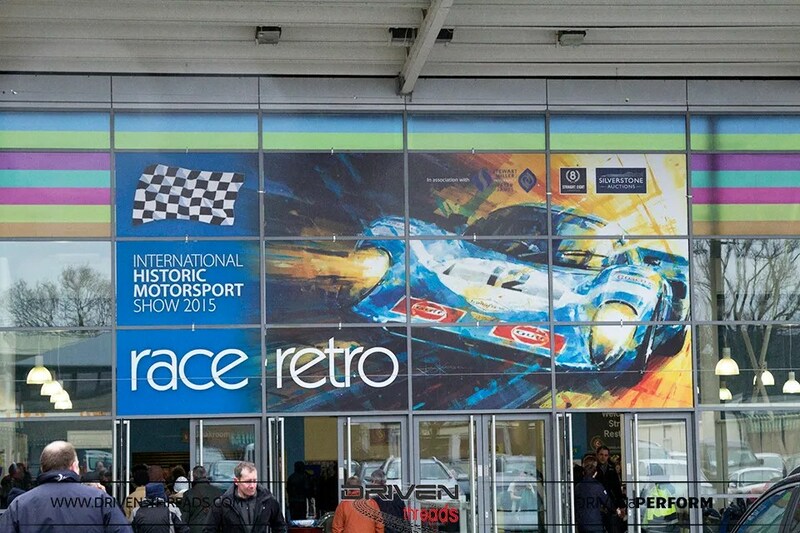 If you are ever in the UK in Winter time definitely check out Race Retro. It might just rock your world too. 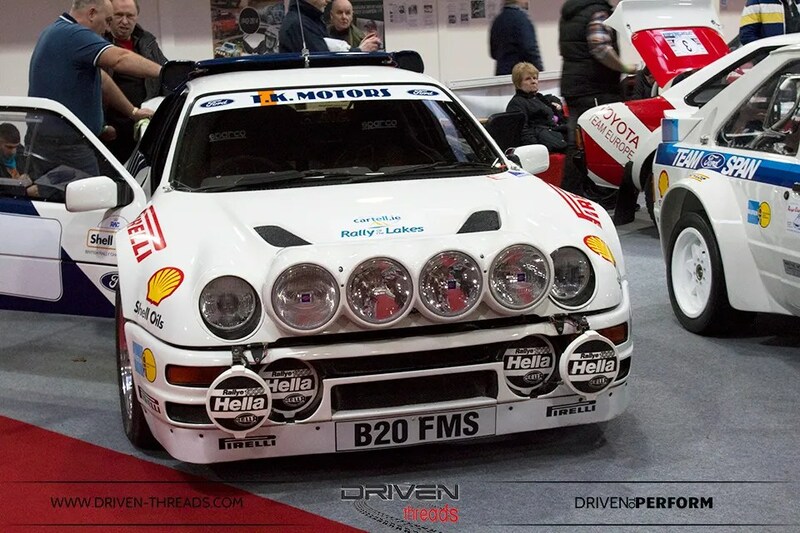 We hope you have enjoyed our coverage of Race Retro! 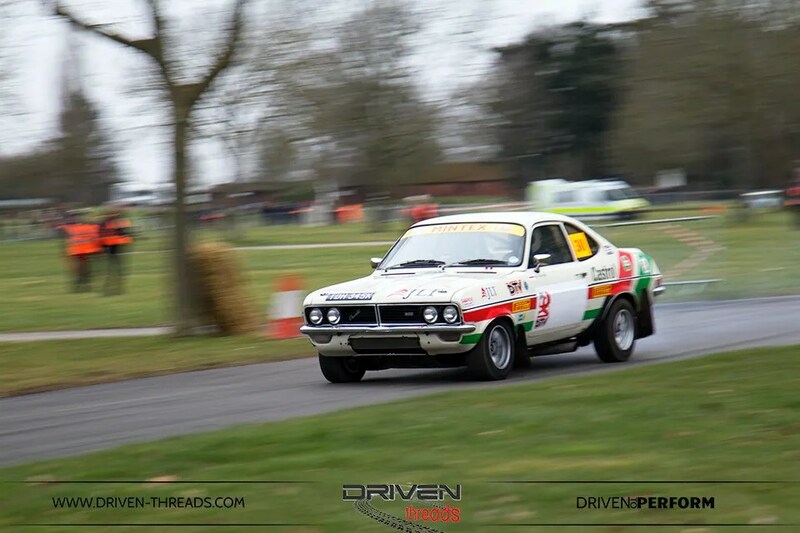 Stay tuned we are thrilled to report that our next coverage will feature the Goodwood Members Meeting. Watch this Space.